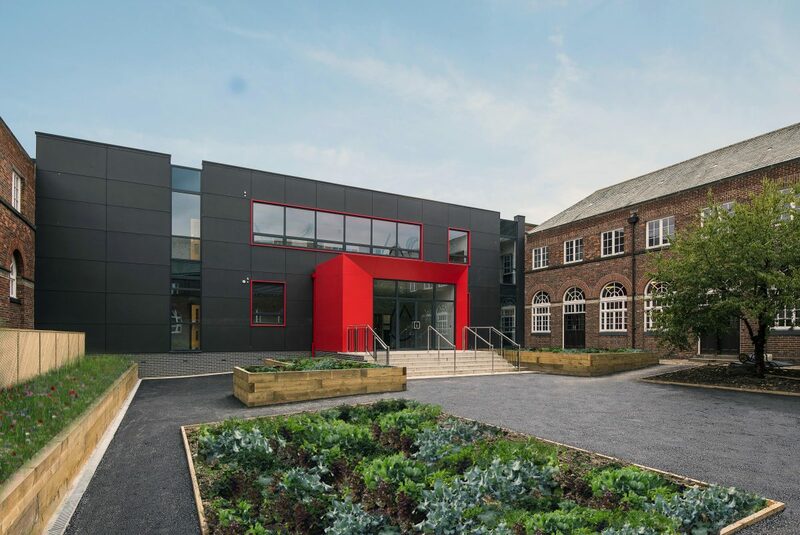 Bowman Riley designed a new teaching building for Rossett Acre, a successful two-form entry primary school on the south side of Harrogate, part of the Red Kite Learning Trust. 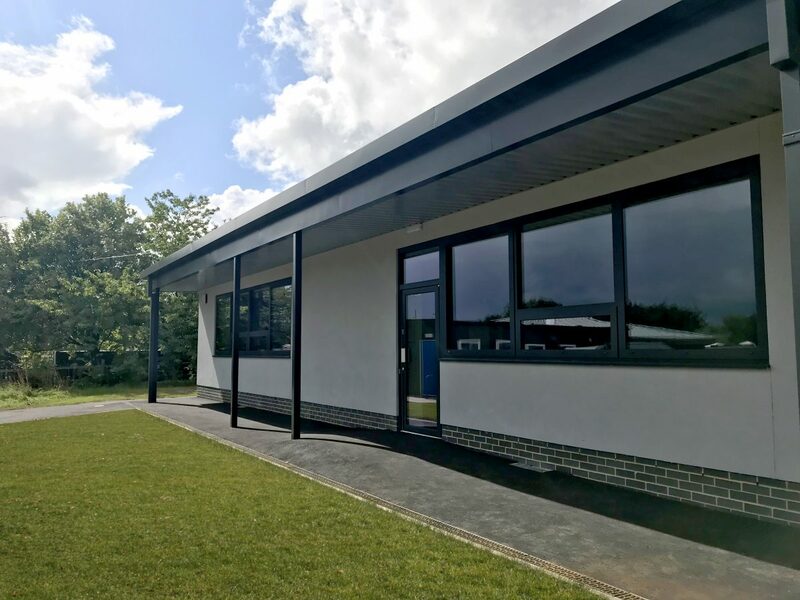 Involved throughout the duration of the project, we initially provided feasibility designs to secure Condition Improvement Funding (CIF) to replace two existing temporary classrooms that had deteriorated beyond economical repair. 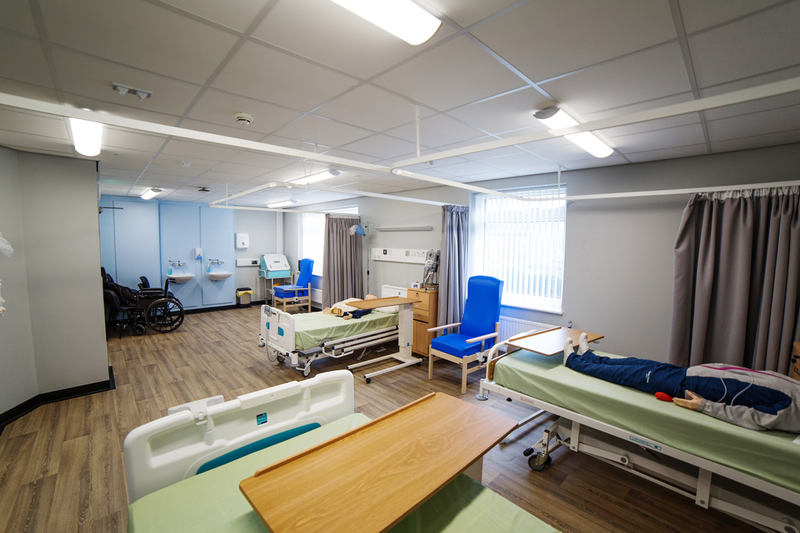 We then went on to create the concept designs, planning and tender drawings before novation to the contractor, SCS Projects Ltd, to deliver the working drawing package. 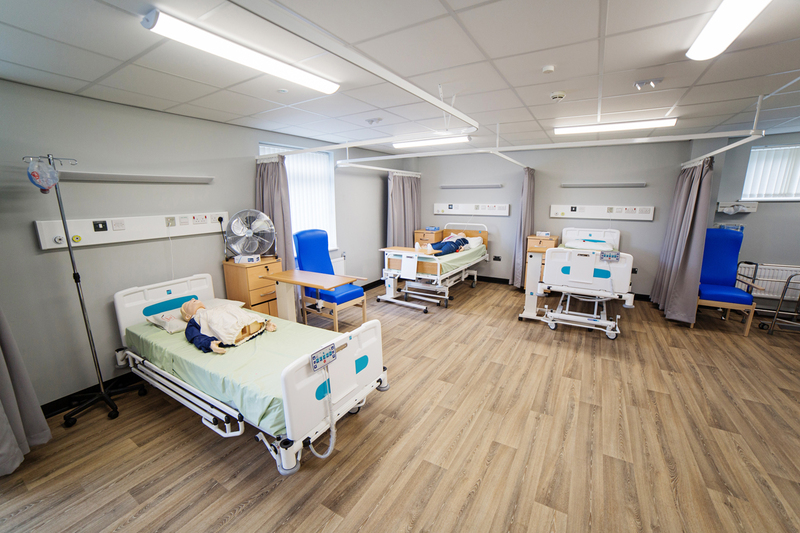 The new building accommodates two new classrooms and adjacent WC facilities for children aged 10-11 years old in Year 6 designed to give pupils a sense of independence in preparation for their journey onto secondary school. 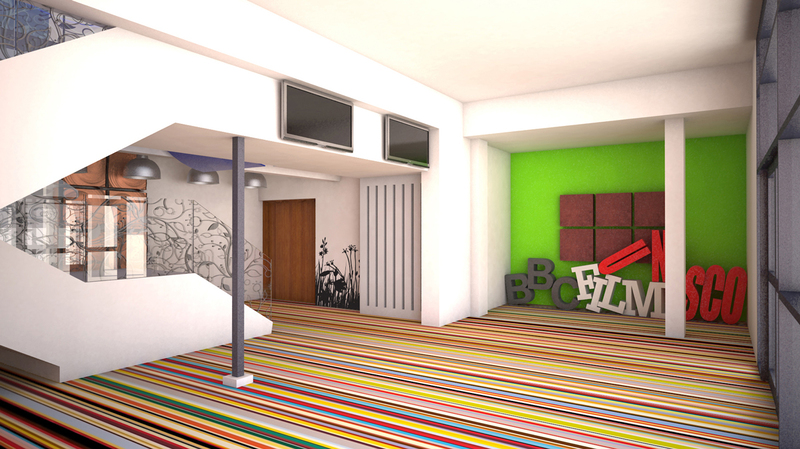 The new block needed to be the maximum build size of 152m² for compliance with the funding criteria. 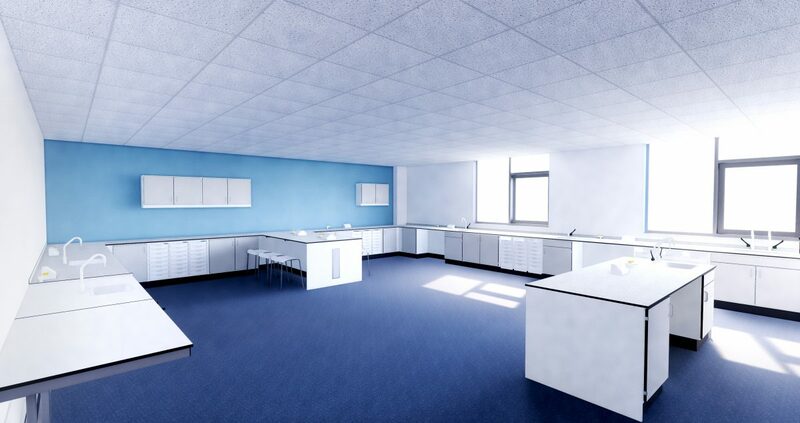 Balancing this requirement with the Education and Skills Funding Agency’s (ESFA) minimum area sizes and the school’s unique teaching ethos presented its own challenges to create the maximum usable space. 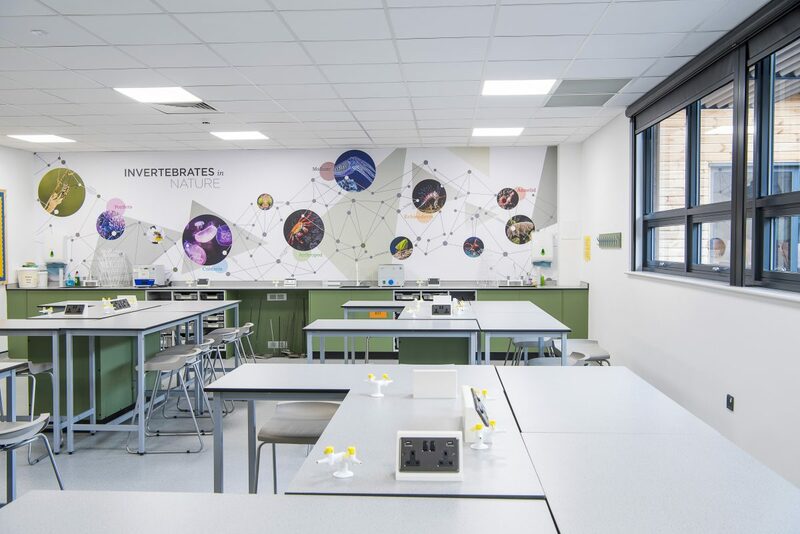 Rossett Acre School wanted the ability to open up the two classrooms to create one larger space to bring the pupils together for collaborative teaching across the year group. 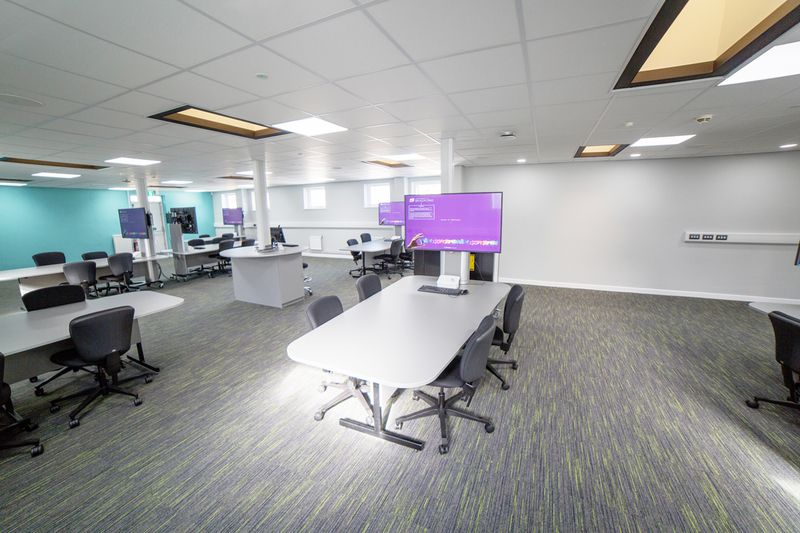 We achieved this by locating class bases adjacent each other with a direct link between the two teaching spaces to allow for larger group activities to take place between the year group. 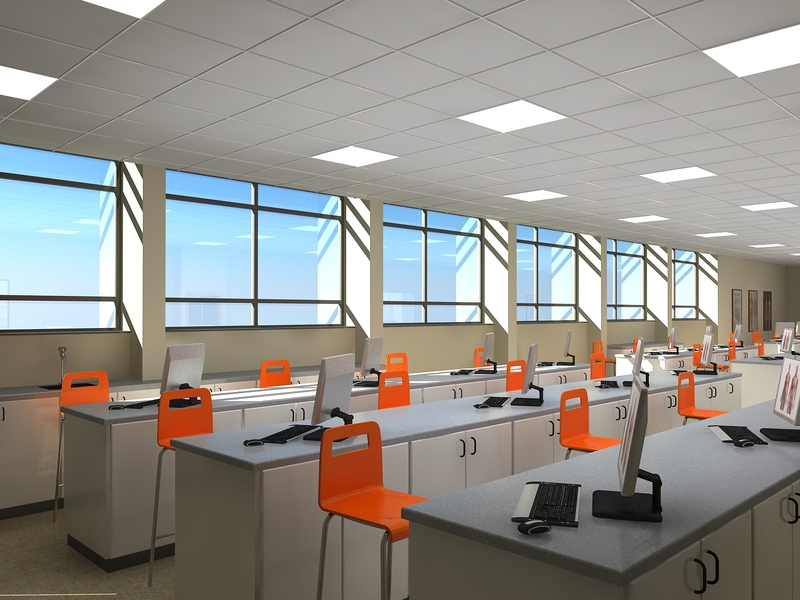 The building design and orientation maximise natural daylight into the teaching spaces from the south elevation while reducing solar heat gain via the projecting roof canopy. 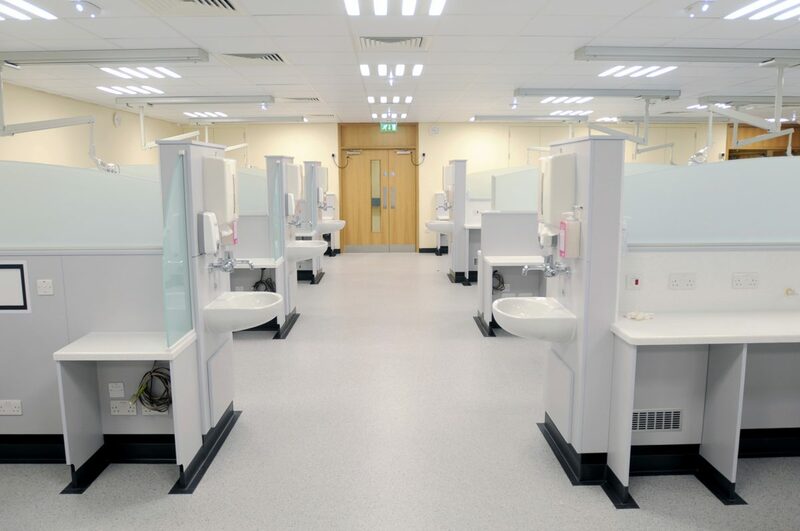 Underfloor heating was provided via an air source heat pump. 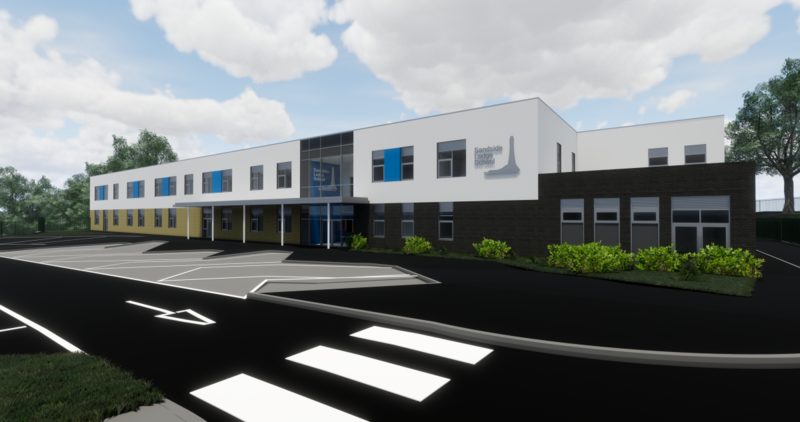 Bowman Riley was appointed by Seddon Construction to design a new school for Sandside Lodge to replace their existing facility. 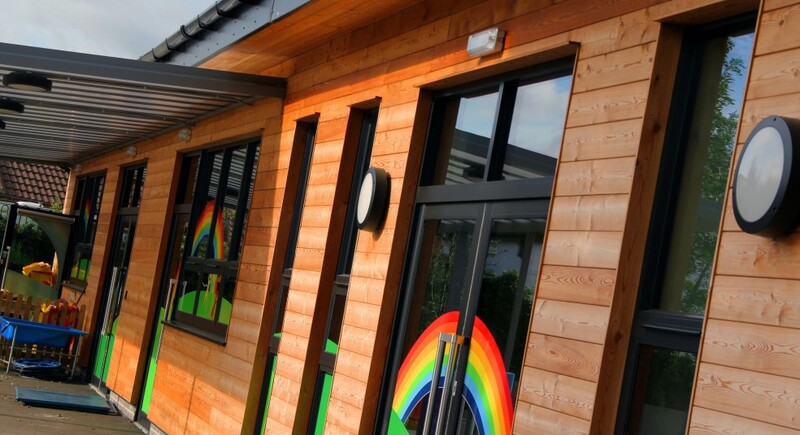 Sandside Lodge is a special school catering for 80 pupils aged between two and 19 who have learning difficulties and many have additional and complex needs including such as autism, physical disabilities and sensory impairments. 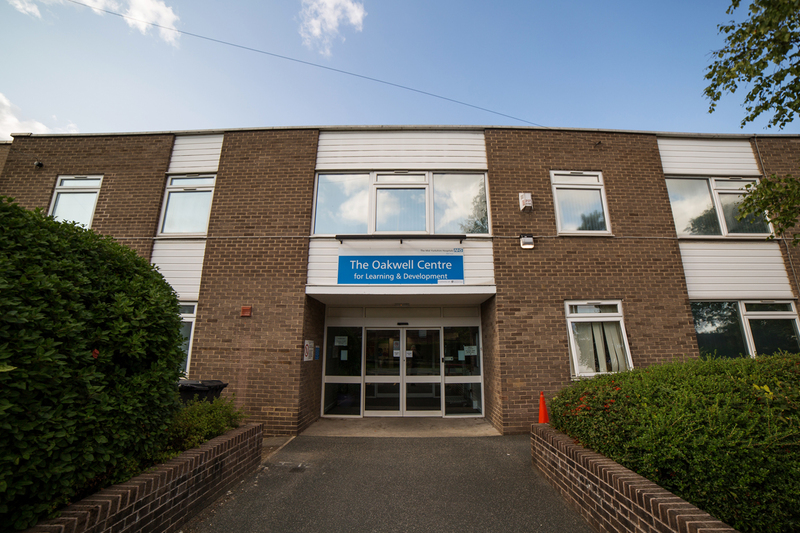 The existing school is housed in a building that is not fit for purpose and is located adjacent to an industrial estate. 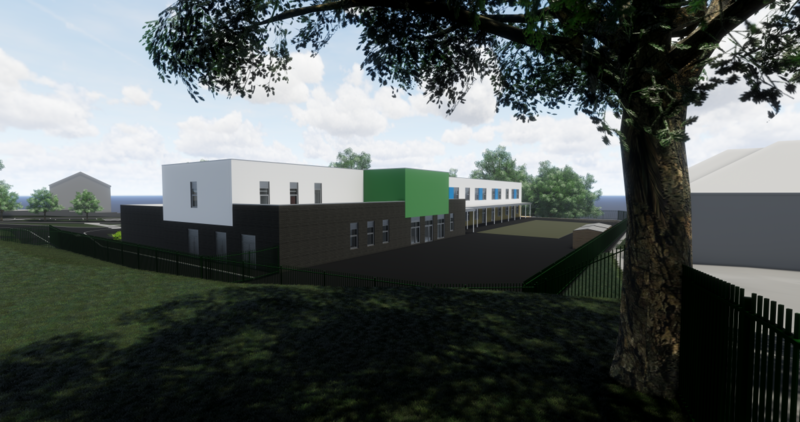 The new school will create bespoke premises to meet the specialist needs of the pupils and create a learning environment with the local secondary school grounds. 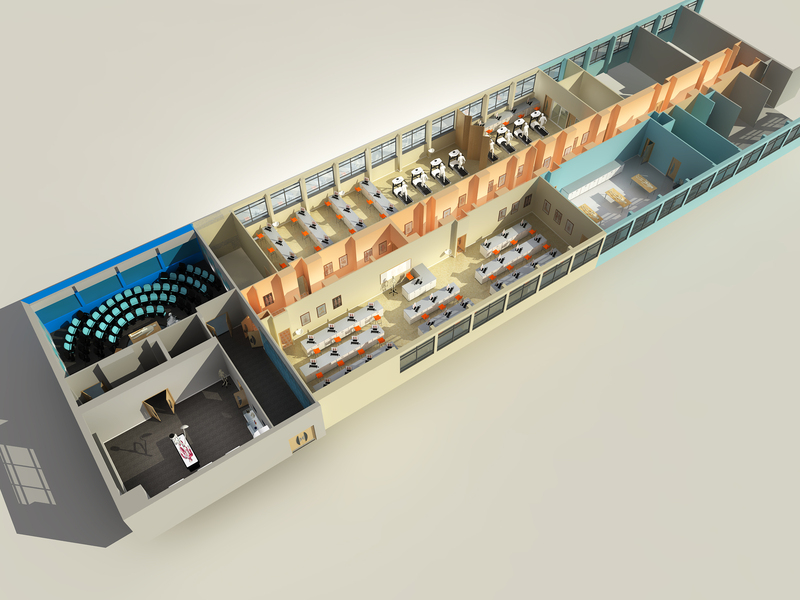 After the initial design was found to be significantly over the budget agreed by the Council, Seddon explored the possibility of creating a modular school and brought Bowman Riley on board to develop the design. The modular construction route was found to be still too expensive. 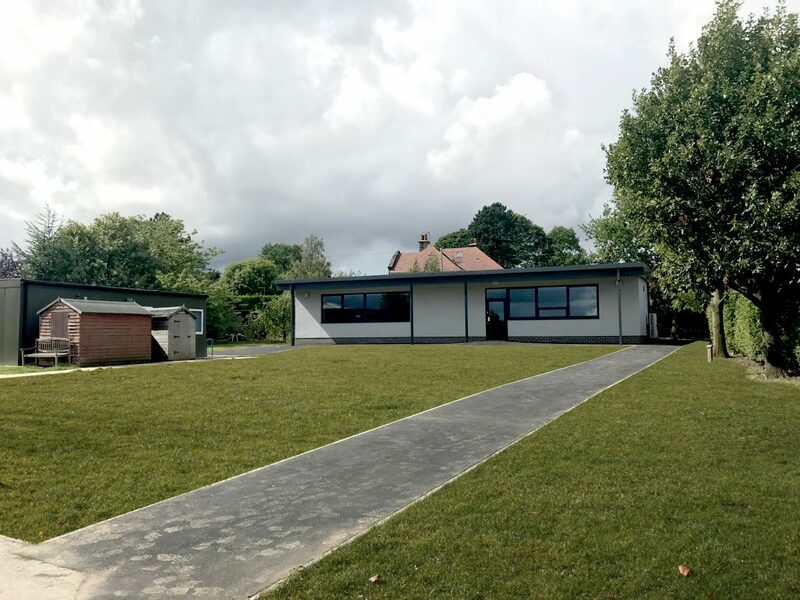 This resulted in Bowman Riley’s appointment to completely redesign the school for Seddon in liaison with the school and the Council to make sure the design meets the agreed budget. 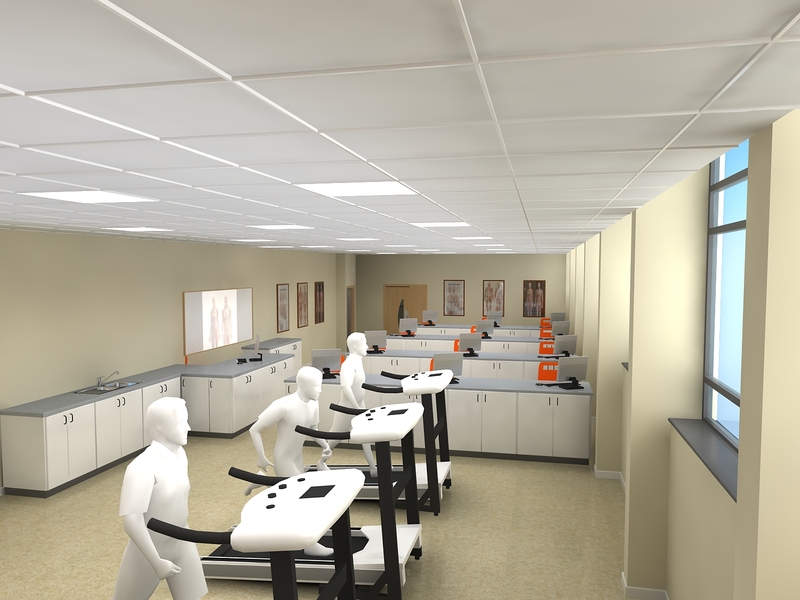 We have developed a close relationship with the end user group through a series of regular workshops to ensure the design meets the schools specialist requirements, which include a medical room designed to HTM standards, hydrotherapy suite, rebound therapy room, gym, soft play, sensory rooms. Externally there is an outdoor woodland area to facilitate forestry skills and sensory gardens. 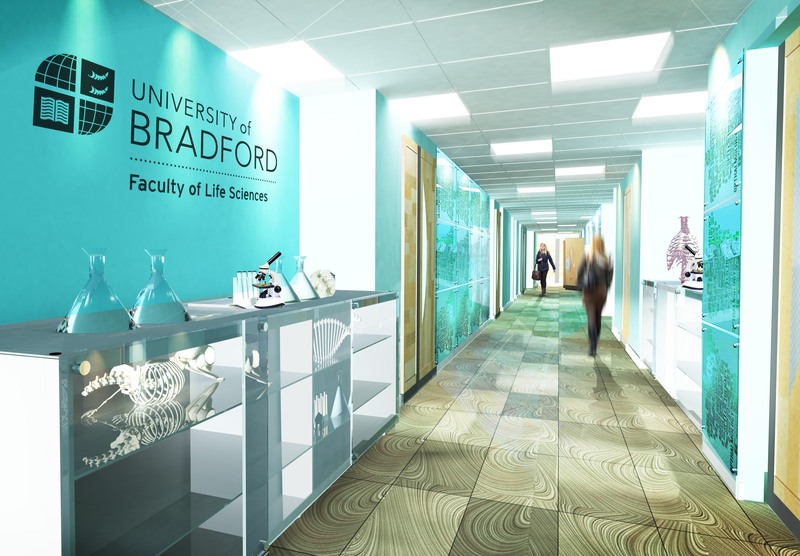 Bowman Riley was invited to submit design proposals for a new teaching building for the Leeds College of Art. 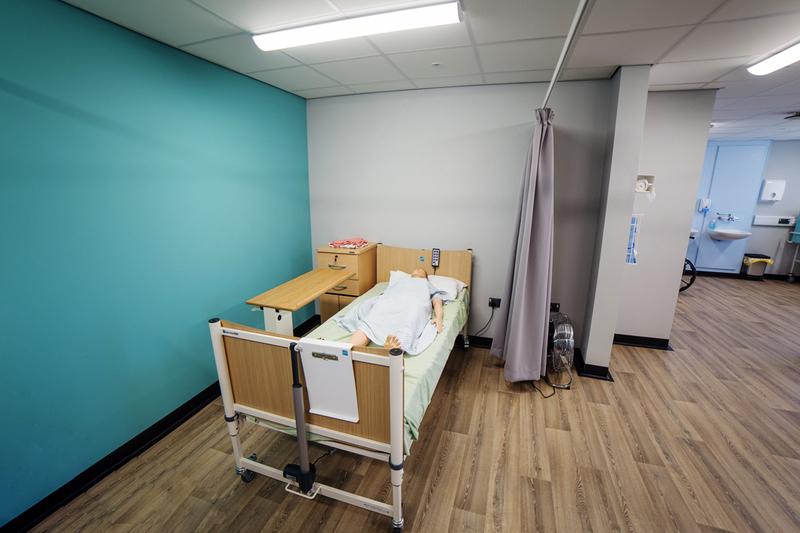 With it’s campus close to capacity, the college needed new accommodation to grow to meet the ongoing demand for student places. 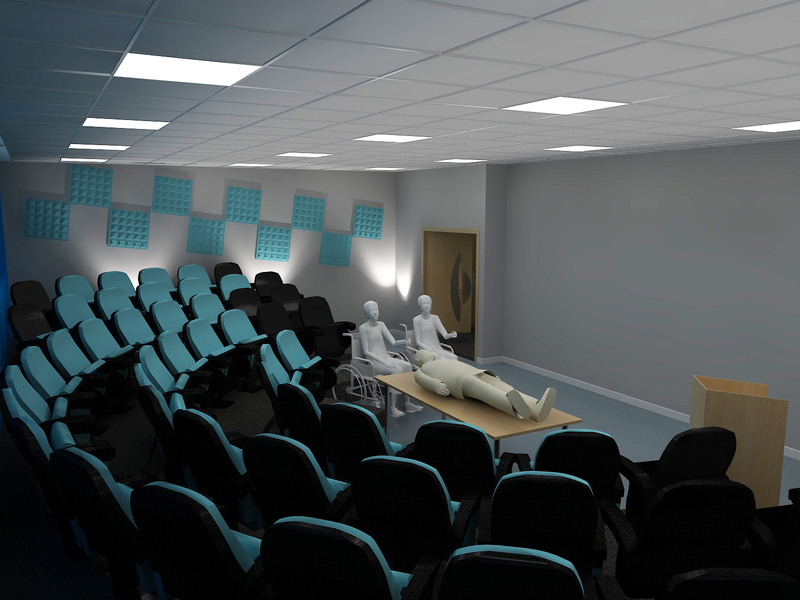 Our proposals offered an architecturally distinctive design to create new contemporary face for the college. 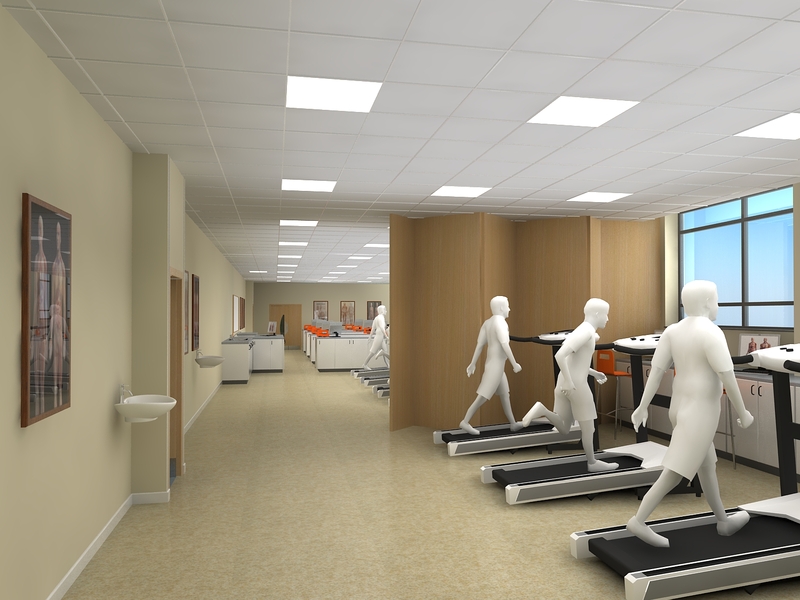 The design for the new four-storey building features a dynamic, light filled multi-height circulation space. 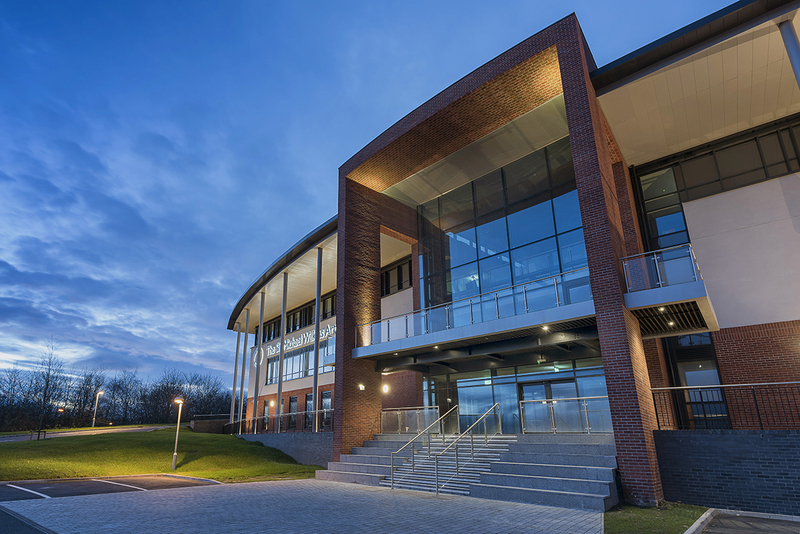 A special events space for displays, performances and socialising draws people through the building designed as a sculptural composition that reflects the college’s art based curriculum and a dynamic cladding of LED displays to give the building a dynamic street frontage. 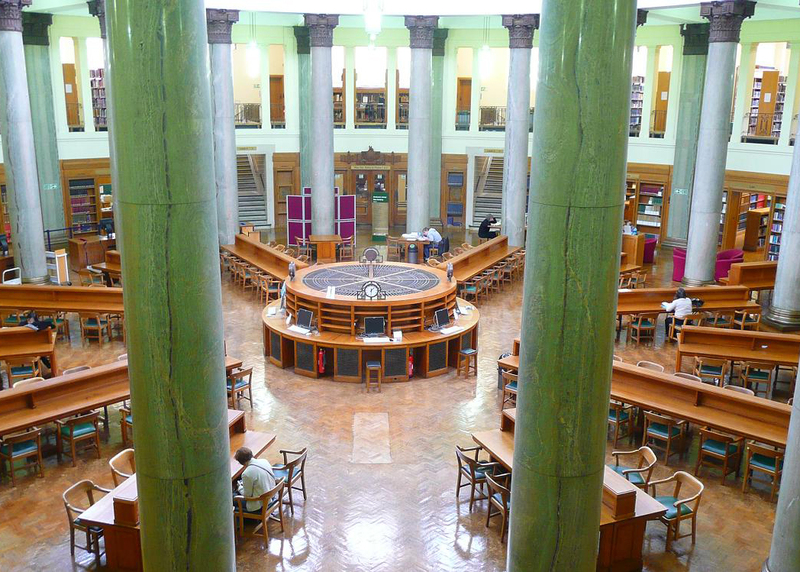 Bowman Riley successfully designed and delivered a £1.3 million refurbishment of The Great Hall within the landmark James Graham Building as part of the wider refurbishment of the Headingley Campus. 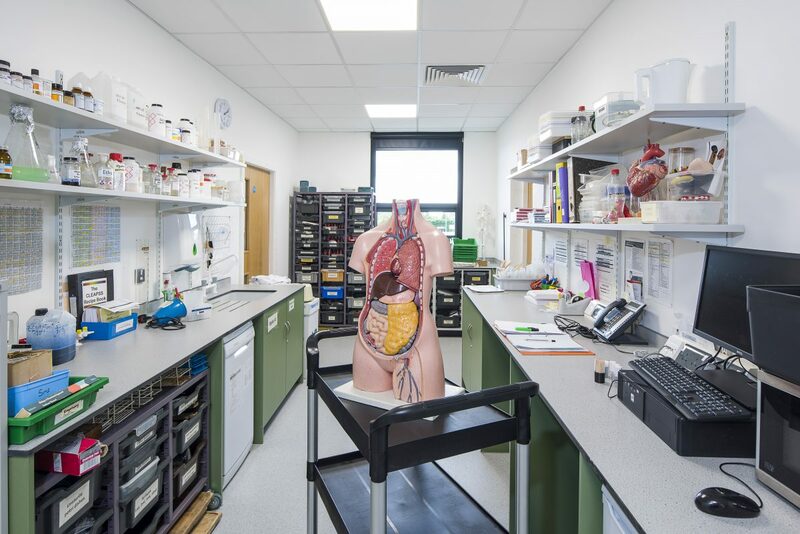 Built in 1912 as a purpose built training college, the Grade II James Graham Building is a large three storey redbrick building designed in the renaissance style presiding over three acres of parkland. 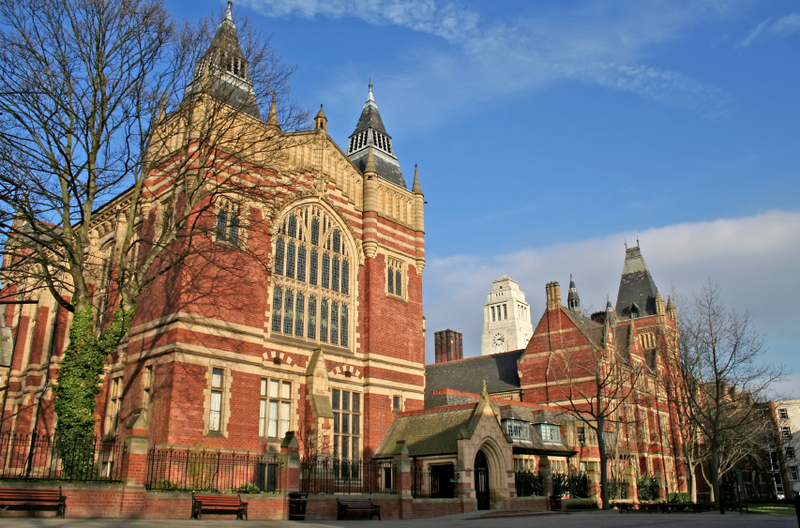 Bowman Riley designed the restoration of The Great Hall from the campus library back to its original purpose as a large flexible space. 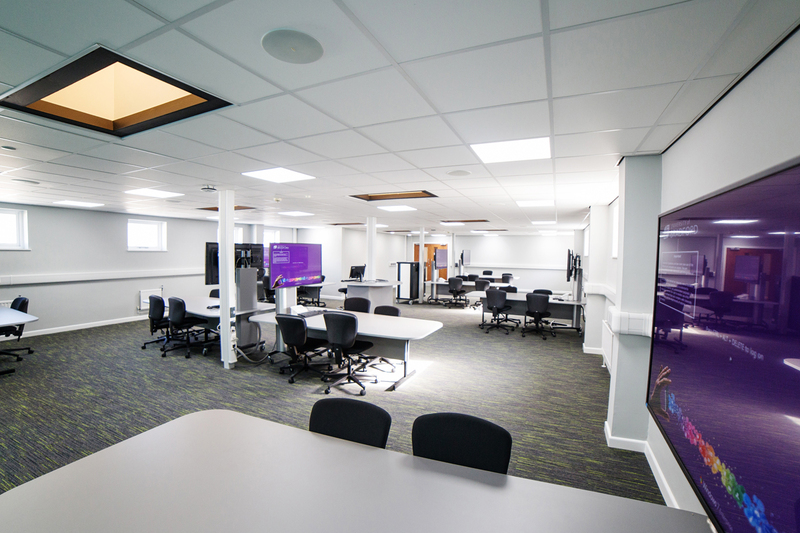 The project entailed the removal and subsequent relocation of the campus library. 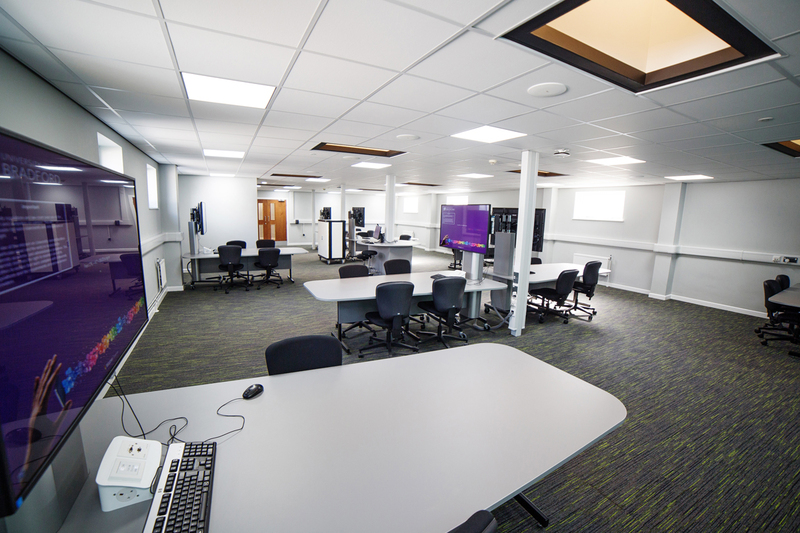 The new library facility was designed to a smaller footprint with greatly improved functionality. 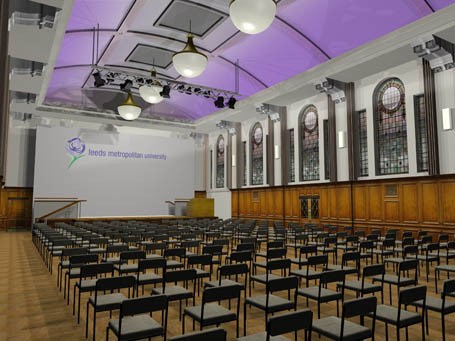 The restored Great Hall now seats 200 people for formal dinners and accommodates 350 for receptions and exhibitions. 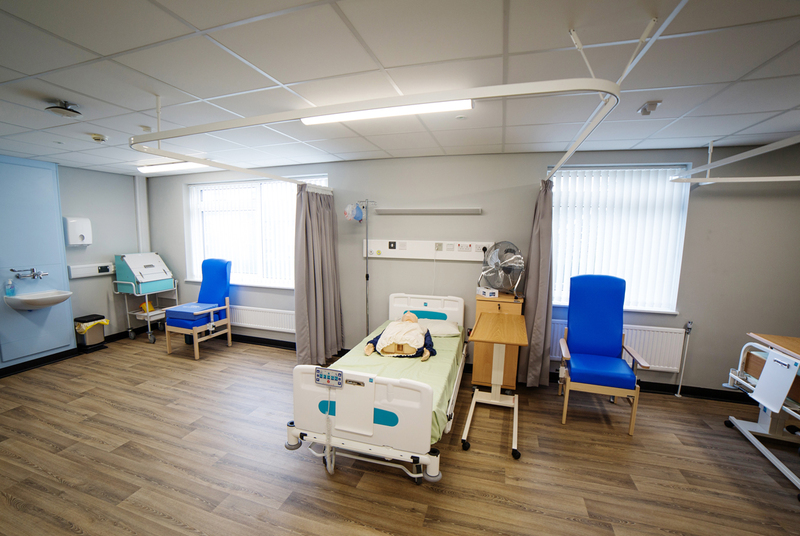 Our designs retained and restored the period features including the wood-paneling and grand windows whilst introducing state-of-the-art AV technologies. 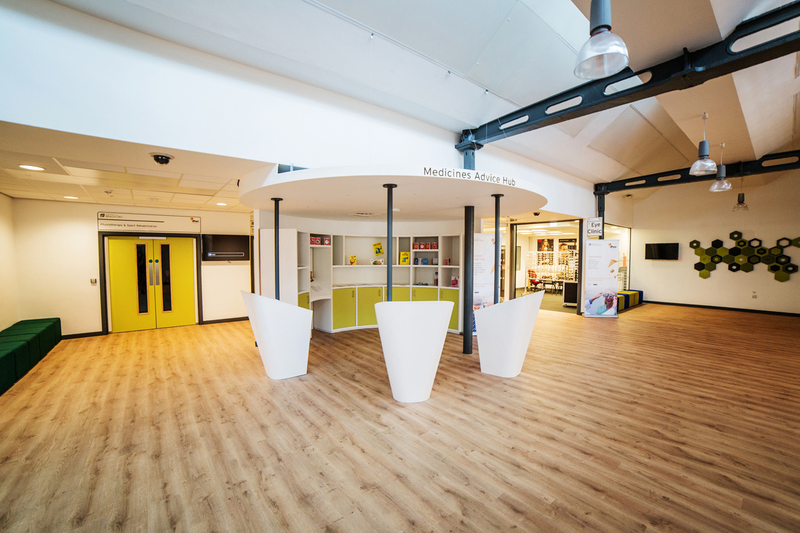 Bowman Riley has designed the extension and internal re-modelling of Sweet Peas Day Care and Teaching Nursery and the adjacent Monkey Maze Play Space in Leeds. 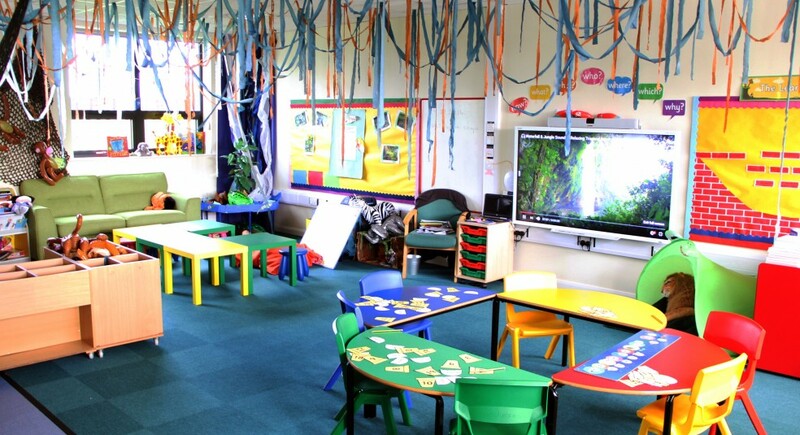 Sweet Peas Nursery needs to create an additional 46 childcare places to be ready for the increase of Government funded childcare places from 15 hours to 30 hours per week in September 2017. The footprint of the existing building is restricting the expansion of the nursery. 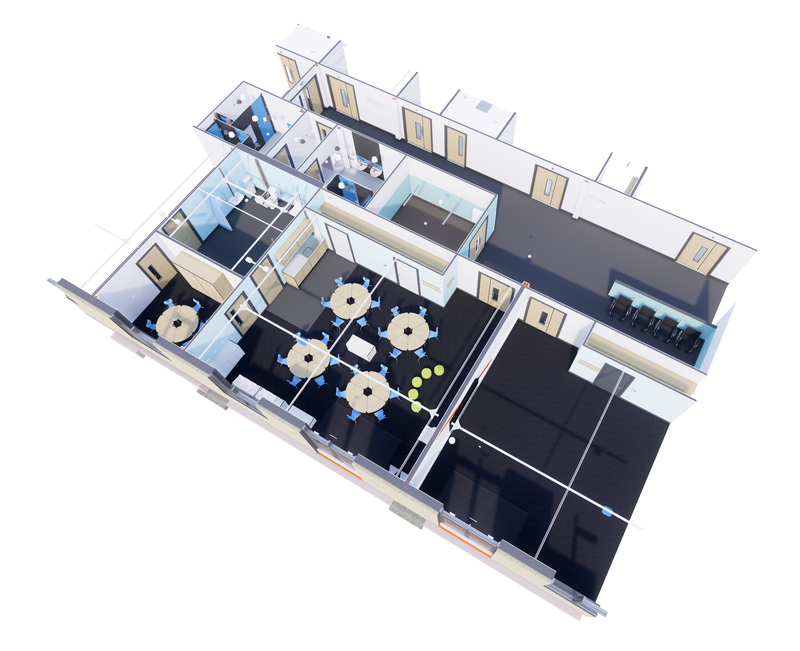 By reconfiguring the building’s interior, our proposal will almost double the size of the space including alterations to the entrance. 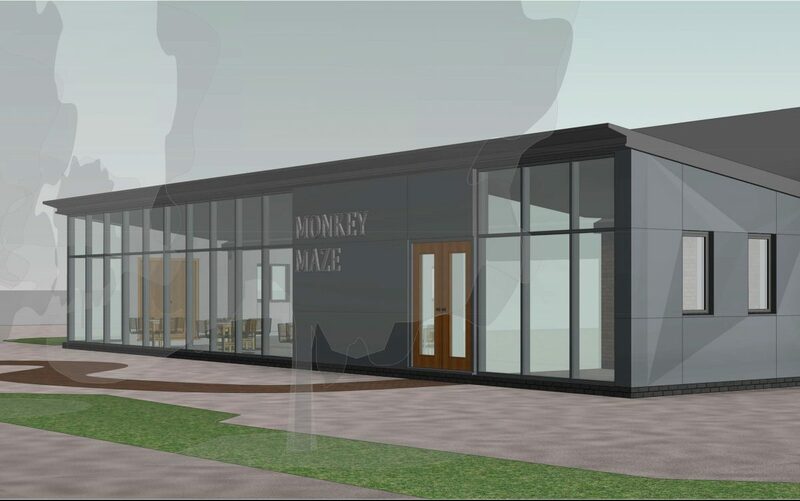 By adding an architecturally interesting extension to the main road side elevation, we provided a new entrance to the Monkey Maze Play Space and café seating area. 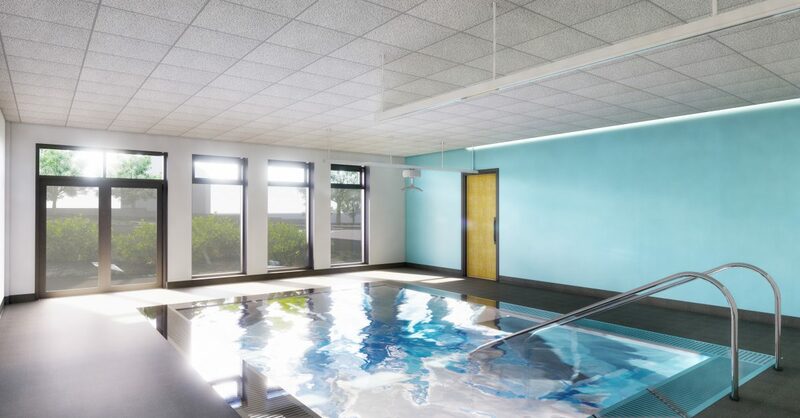 The removal of a suspended ceiling will increase the building’s volume. 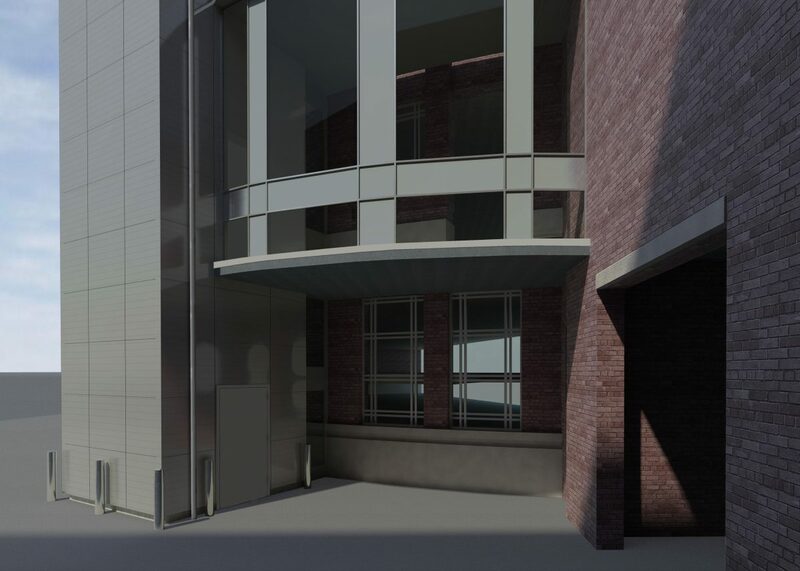 The existing building form has informed the massing and scale of the entrance extension. 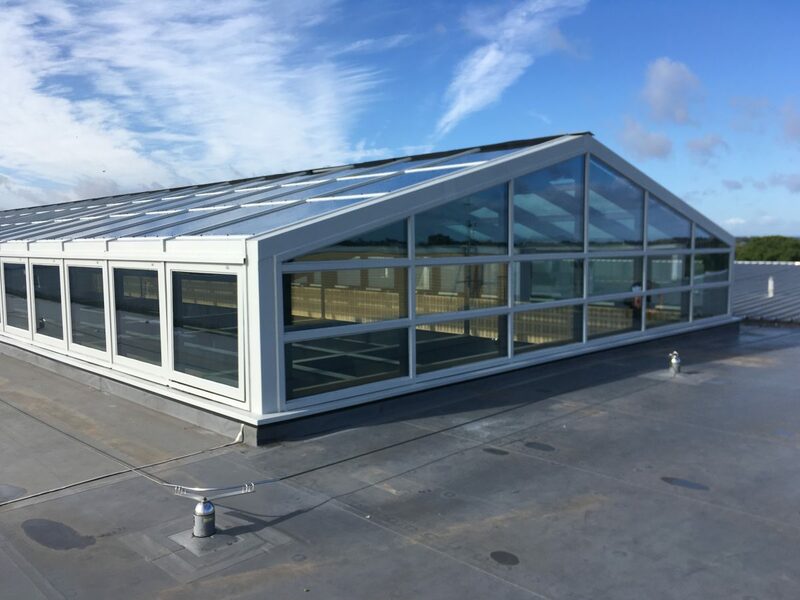 The 1,000 ft2 extension is glazed to maximise daylighting and underfloor heating to provide a comfortable and economic solution. 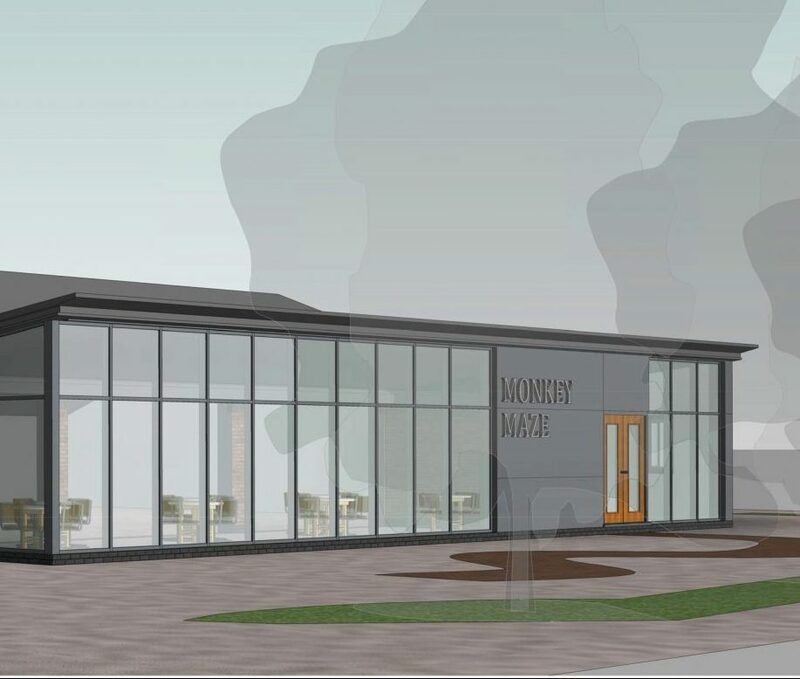 It also uses a mono-pitch roof that projects toward the welcoming entrance. 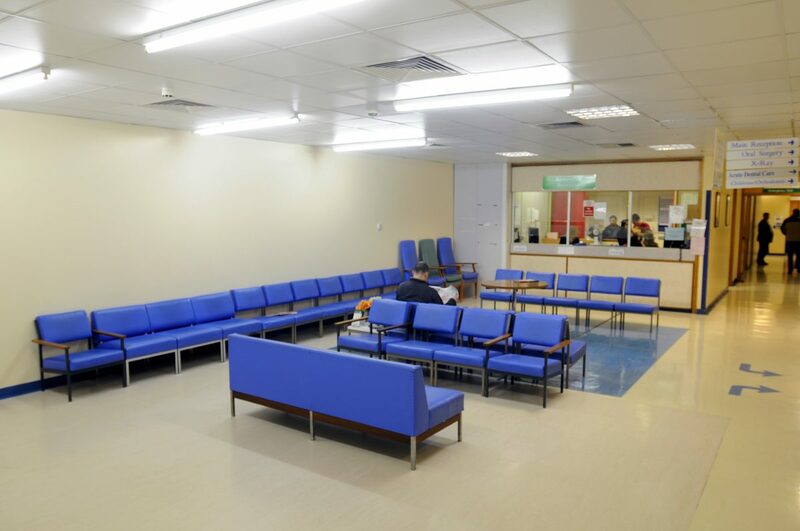 The remodelled building will be robust to cope with the high usage throughout the year. 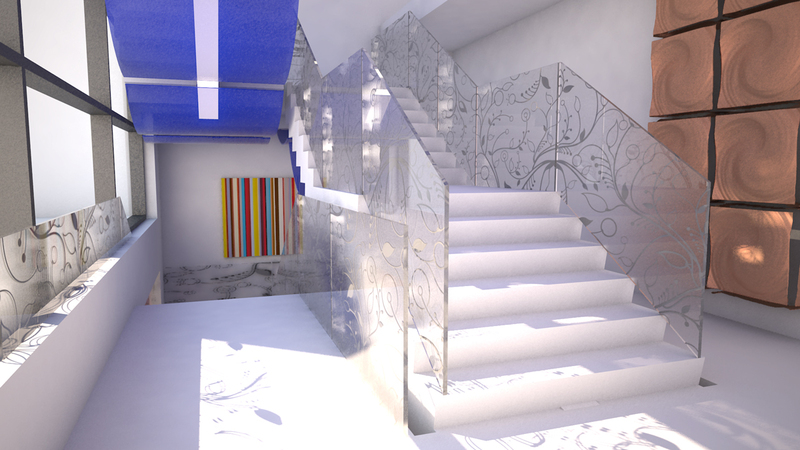 The building will be well-insulated and durable materials have been selected in consideration of their lifecycle impact. 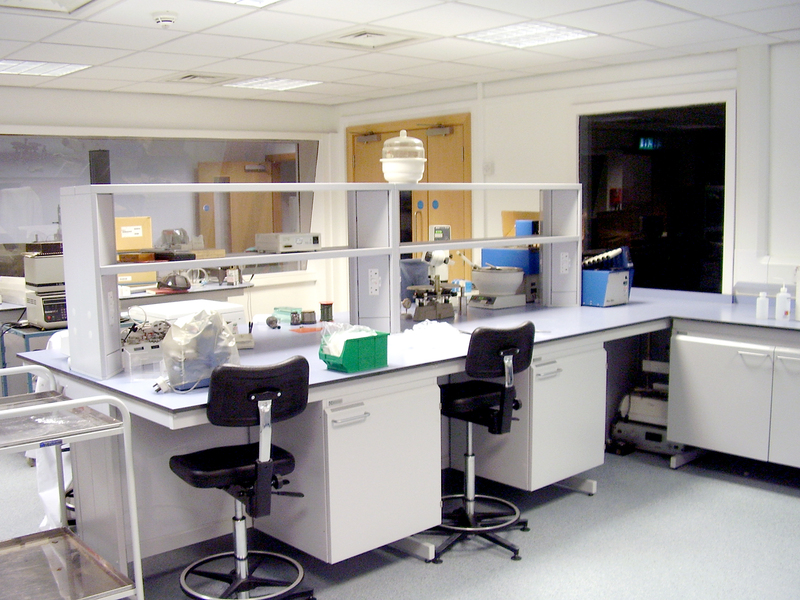 The finishes selected are durable, safe and help noise attenuation. 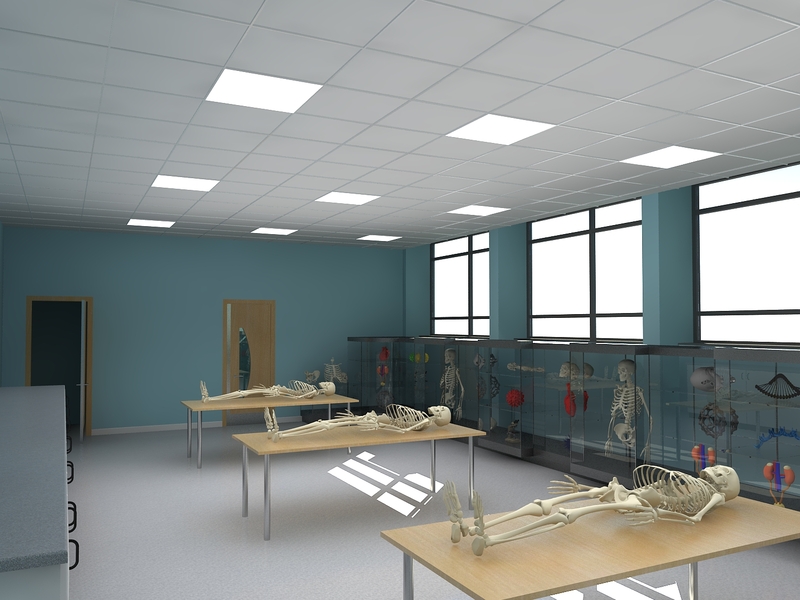 The proposal maximises the use of fresh air and natural light in consideration of the wellbeing of children, parents and staff. 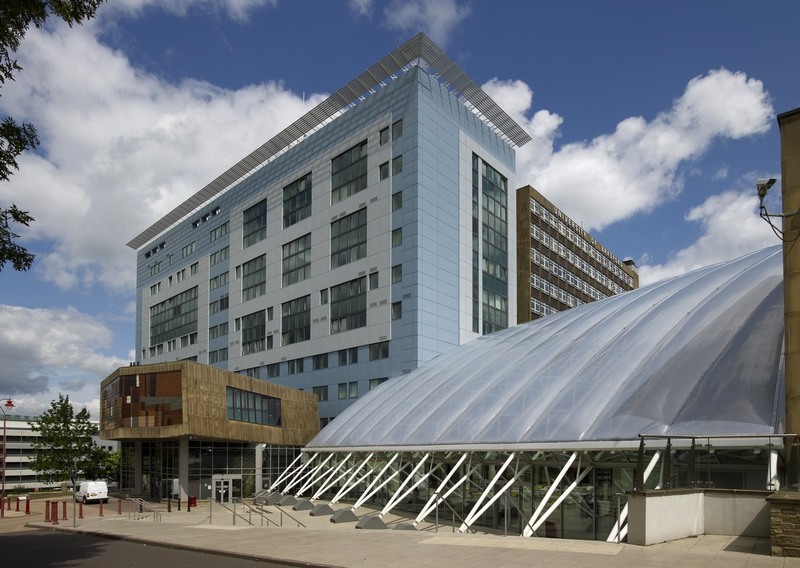 The large glazed elevation maximises natural lighting and provides views of the exterior, which is extensively soft landscaped. 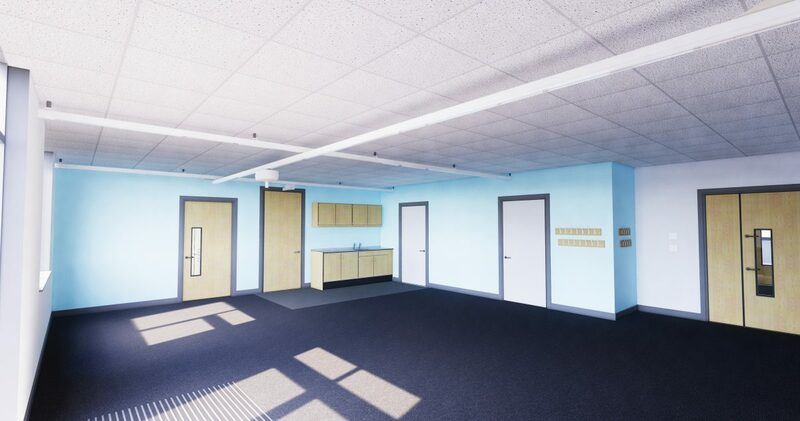 Bowman Riley was commissioned to design a new extension building and reconfigure the layout of Oatlands Junior School, a large, popular school in Harrogate. 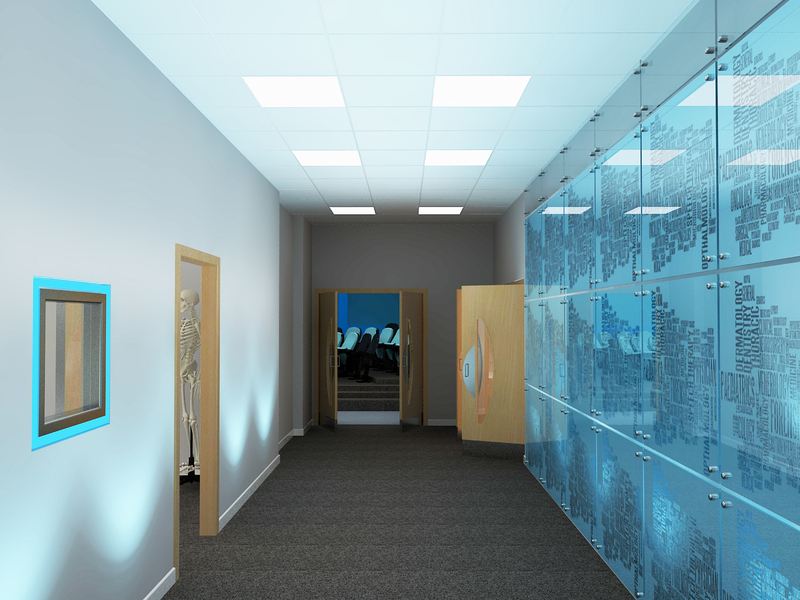 The layout of the 1960s school needed a fresh approach to improve the entrance and reception and to safeguard the pupils. 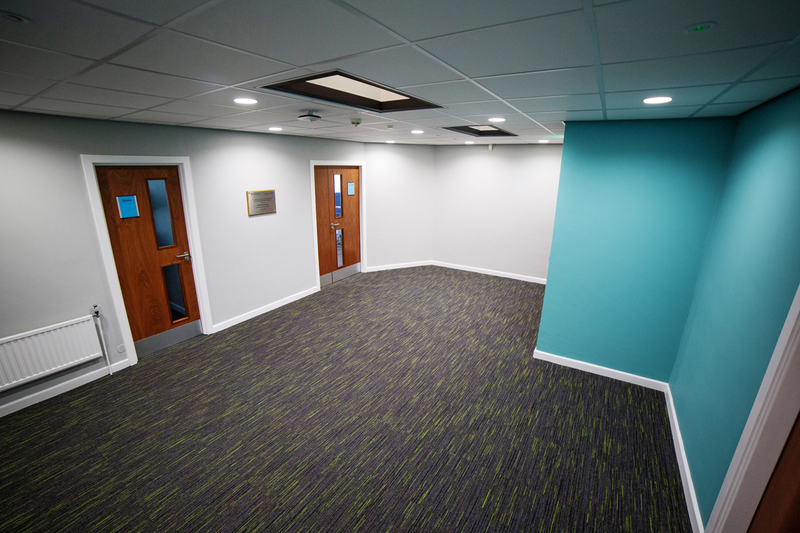 The school building had multiple entry points, confusing navigation including the main hall used as a circulation route, a lack of security and a reception located in a corridor. 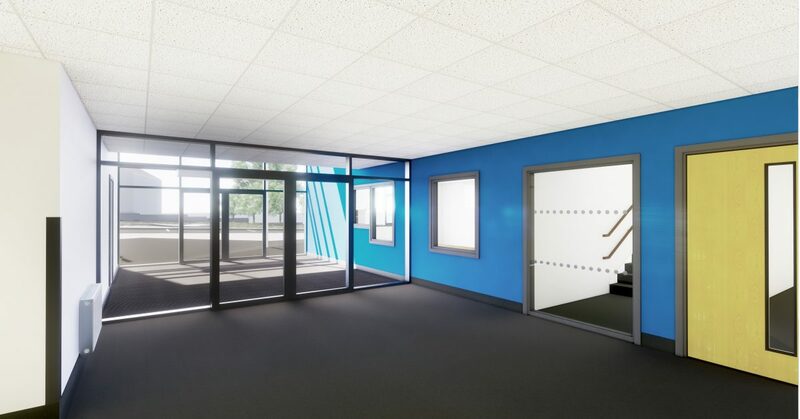 Bowman Riley designed a 120m2 infill building to provide a new entrance and reception area giving the school a sense of identity, a welcoming entry point for pupils, staff, parents and visitors for general use and school events. 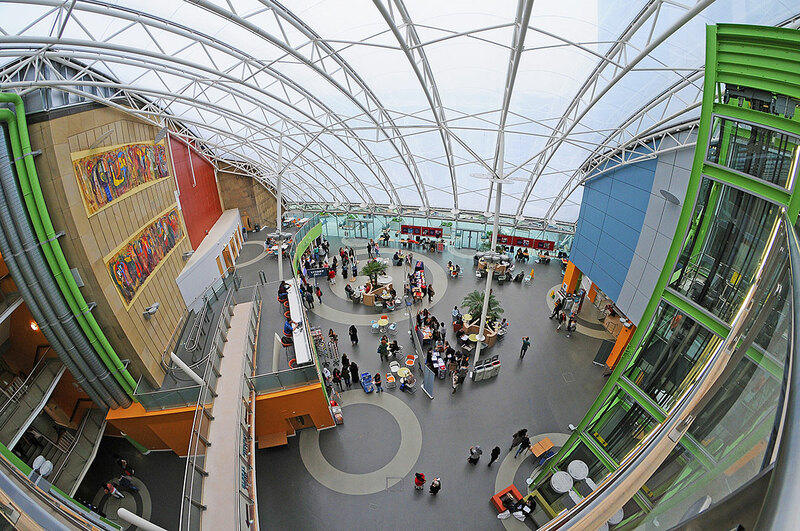 This places the reception at the heart of the school. 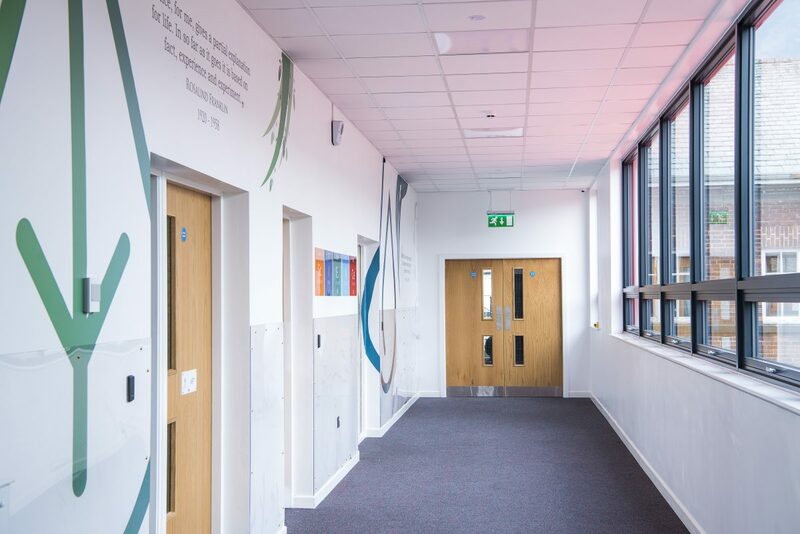 Our role involved the rationalisation of the school including improving the navigation around the school, controlling entry points and access to safeguard the pupils. 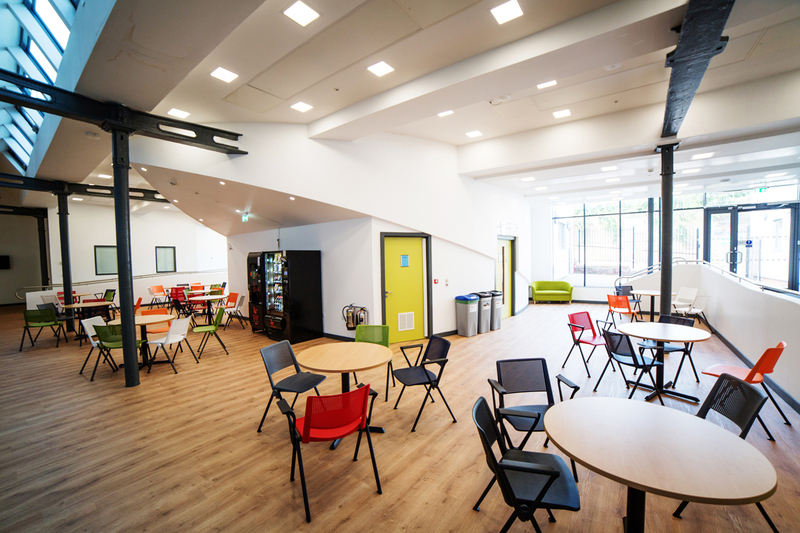 The main hall was removed from the circulation route and the dining facilities were improved to avoid disruption to the learning environment. 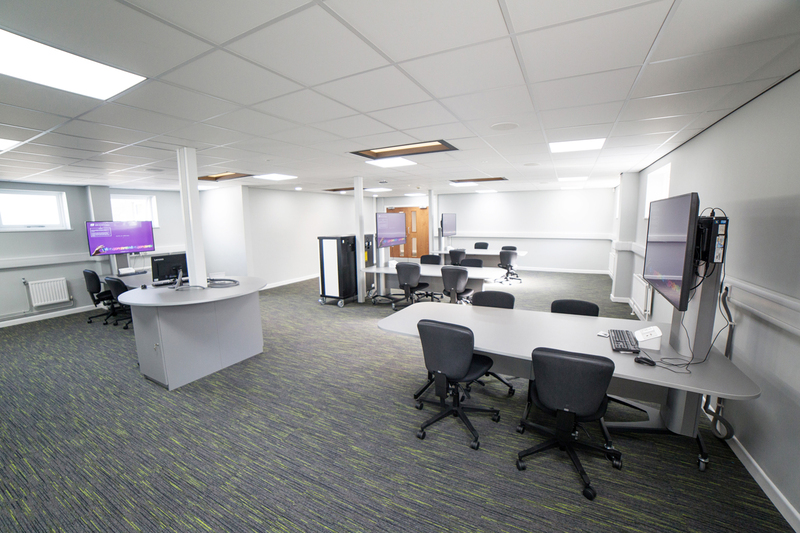 We also enabled controlled access to the staff room and head teachers office. 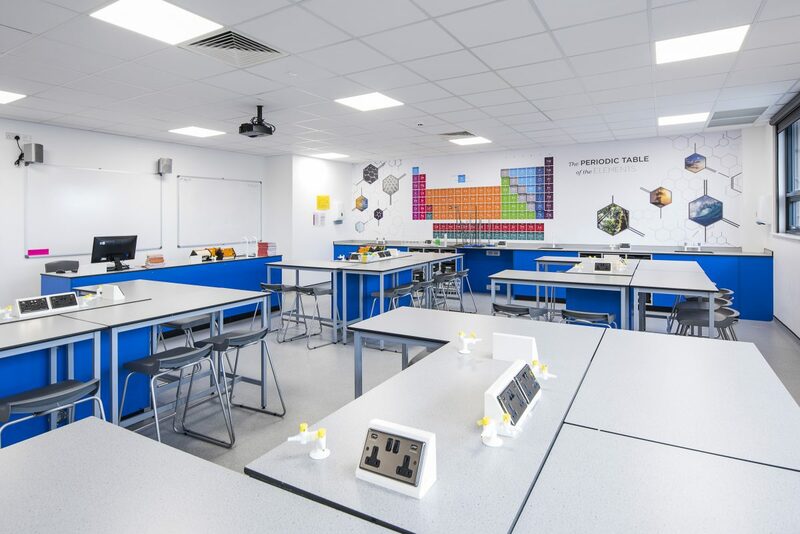 This enabling project was formed part of the wider plans for the school and in 2015, Bowman Riley undertook a feasibility study for a new building to accommodate two new classrooms, WC, associated plant, a courtyard and a link corridor. Hogsthorpe Primary Academy is a small Victorian school set on the edge of a village in Lincolnshire. 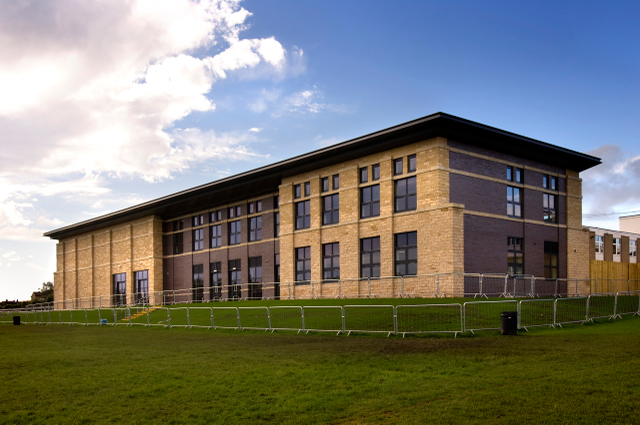 The school comprised several brick buildings with extensions including an array of out-dated modular buildings. 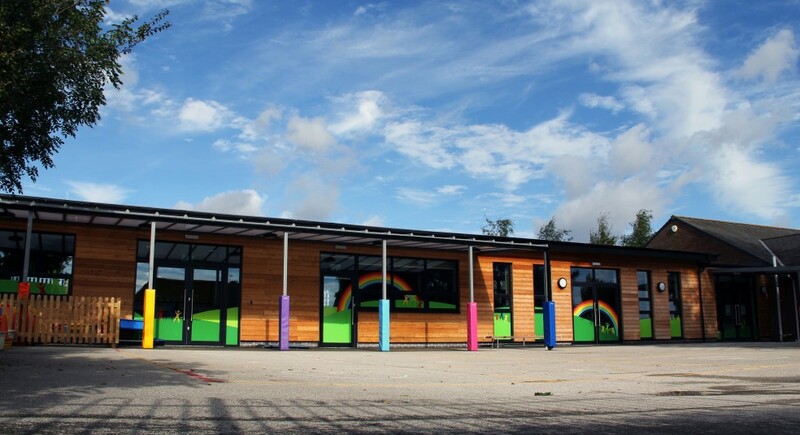 The school used the modular buildings as classrooms and a hall, which doubled up as a classroom. 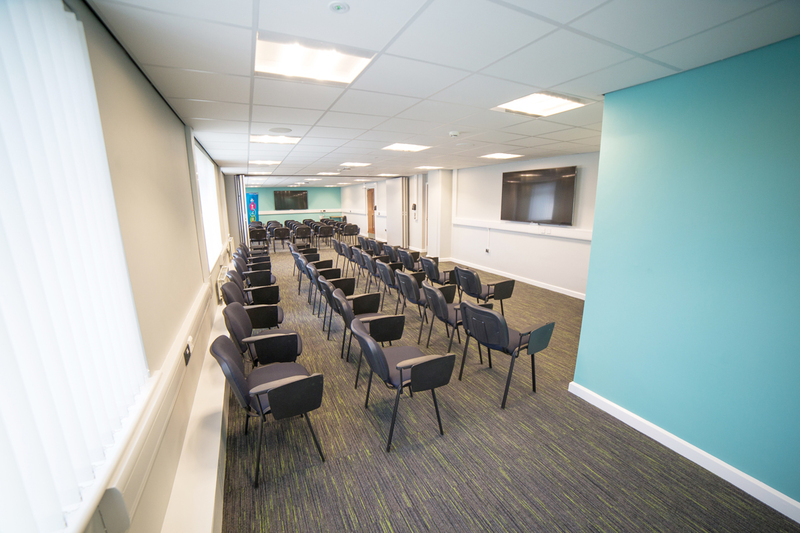 The school needed to increase teaching space to support learning and allow the main hall to be a separate entity with links back to the original building. Bowman Riley designed a new contemporary extension to the school. 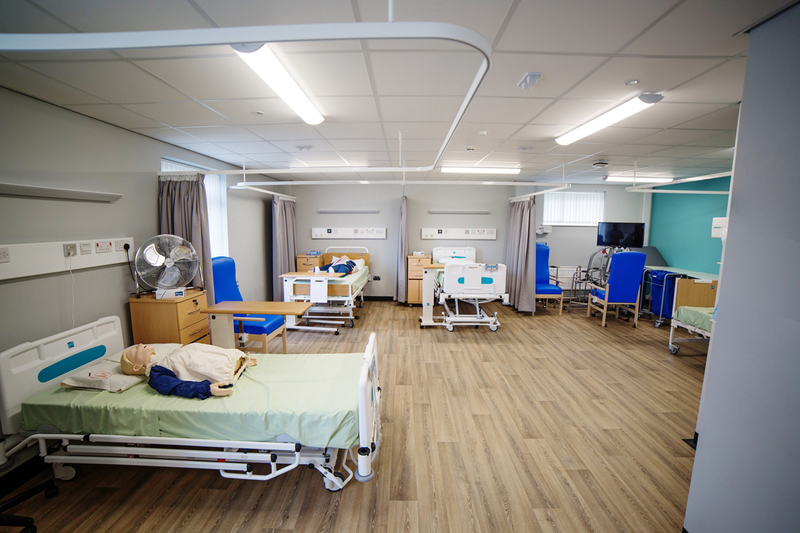 The extension accommodates two new classrooms and a multi-use hall with a shared play area, which connects both the classrooms back to the main school building. 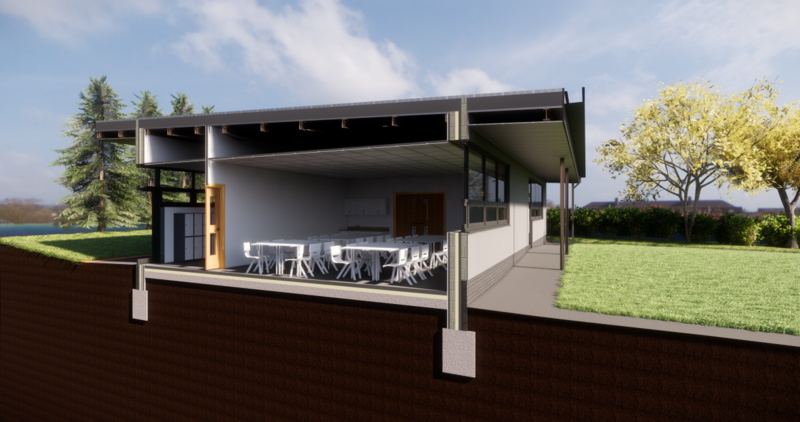 Both classrooms were designed to have direct access to a new covered outdoor learning area. 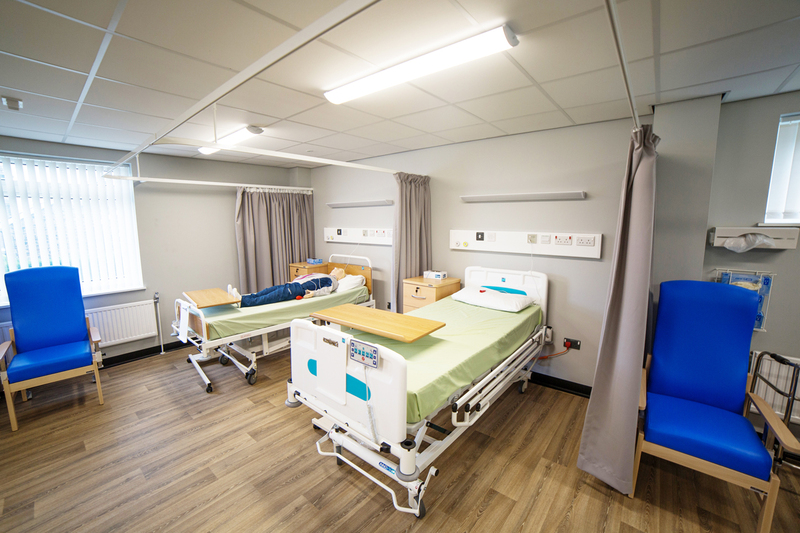 The new accessible entrance lobby and toilet facilities enhance the facilities for the wider community, which provides the school with the opportunity to rent out the hall to the local community as an additional source of revenue. 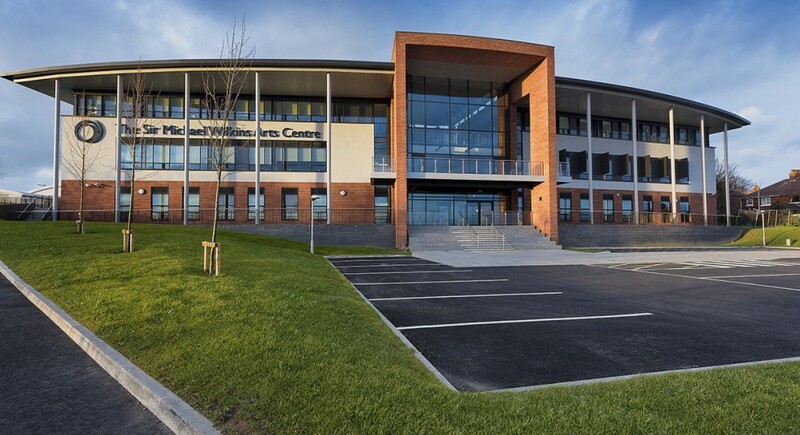 The new building was created to be in keeping with the main school to maintain a sense of unity throughout the site by using soft natural materials. The building was designed to be well-used throughout the whole school year. 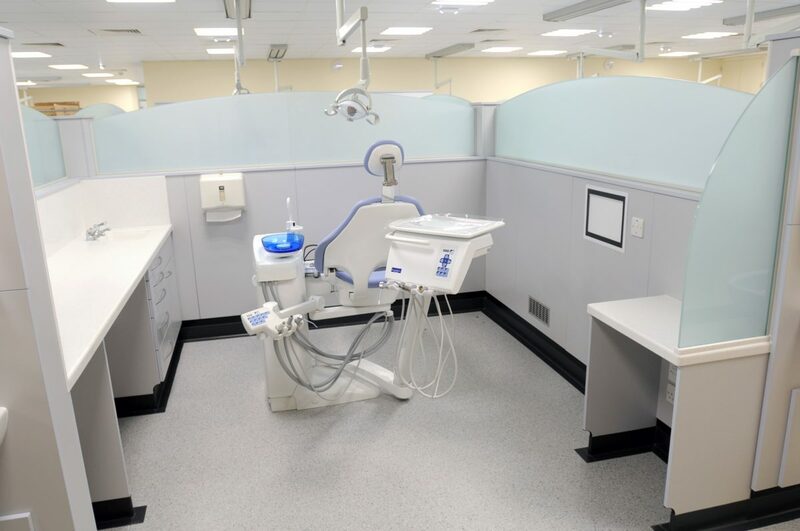 The construction was robust to deal with its daily use and long term maintenance. 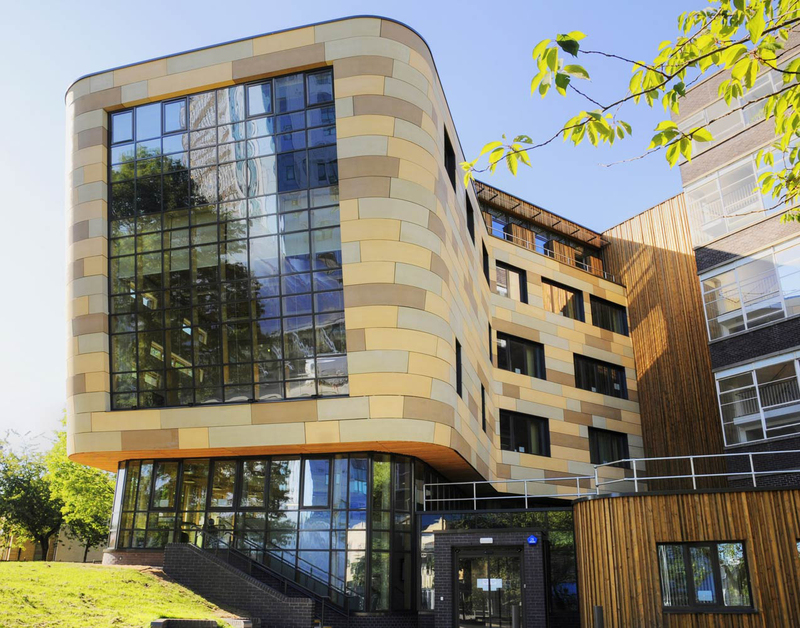 The building is well-insulated with excellent quality materials selected for their lifecycle impact/embodied energy. 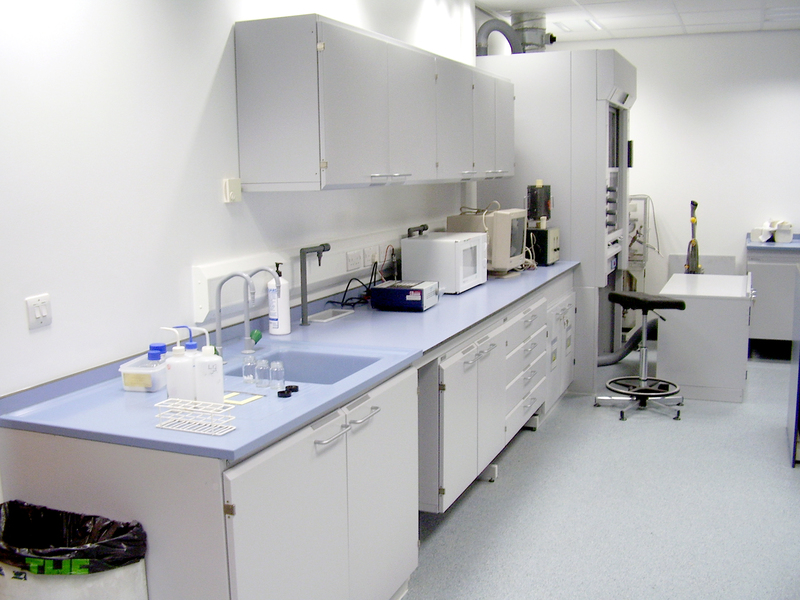 Finishes were selected to be durable, safe and help noise control. 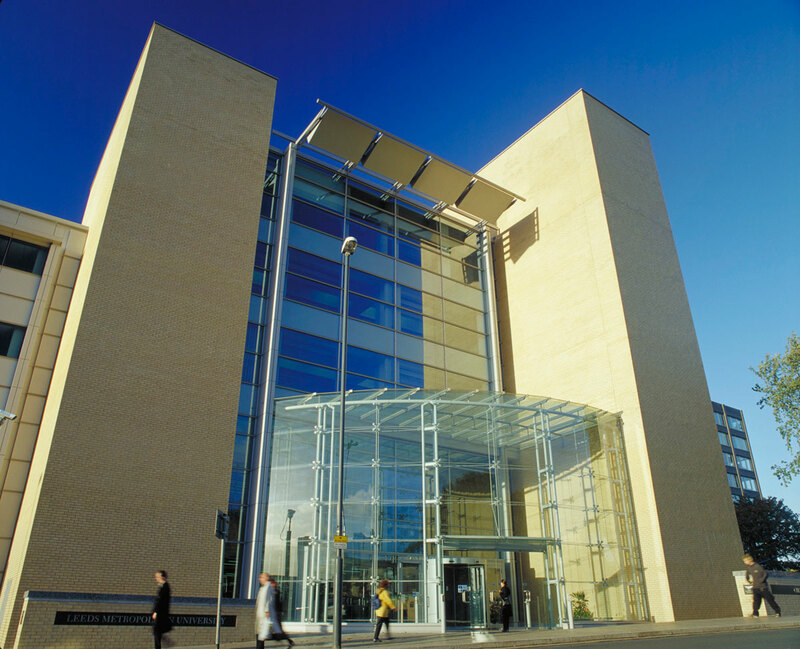 Leeds Beckett University city campus originally comprised of a cluster of 1960s buildings on different levels with a main entrance on Calverley Street. The principal footfall was predominantly on Woodhouse Lane but this was the designated service access to the buildings. 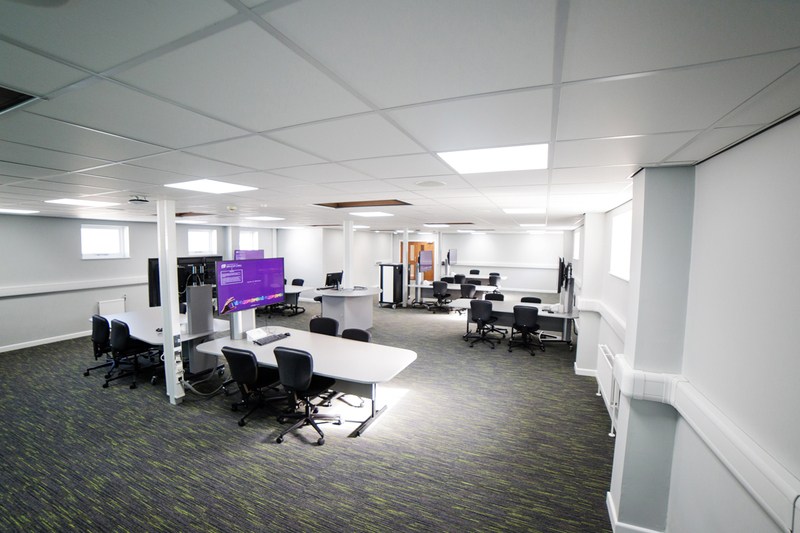 The University needed a new gateway building on Woodhouse Lane as an infill between the existing buildings to create a unified learning environment. 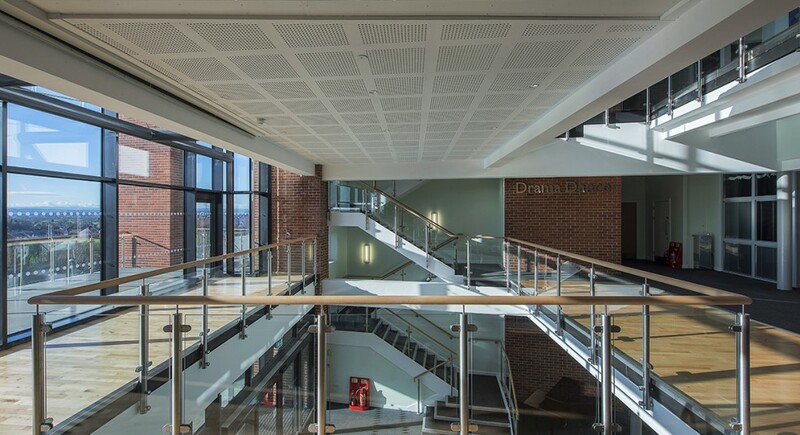 Bowman Riley designed the refurbishment of the existing buildings and created a landmark new building. 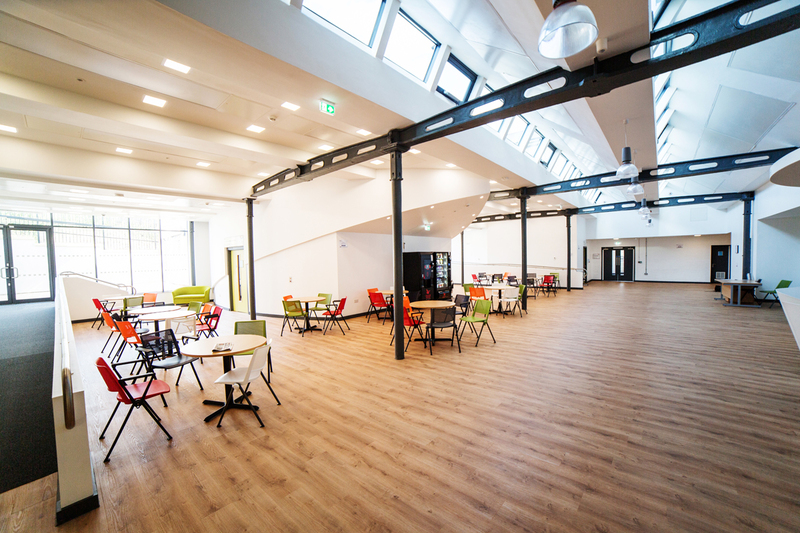 We designed an enabling project to refurbish the student union in the basement of one of the existing buildings. 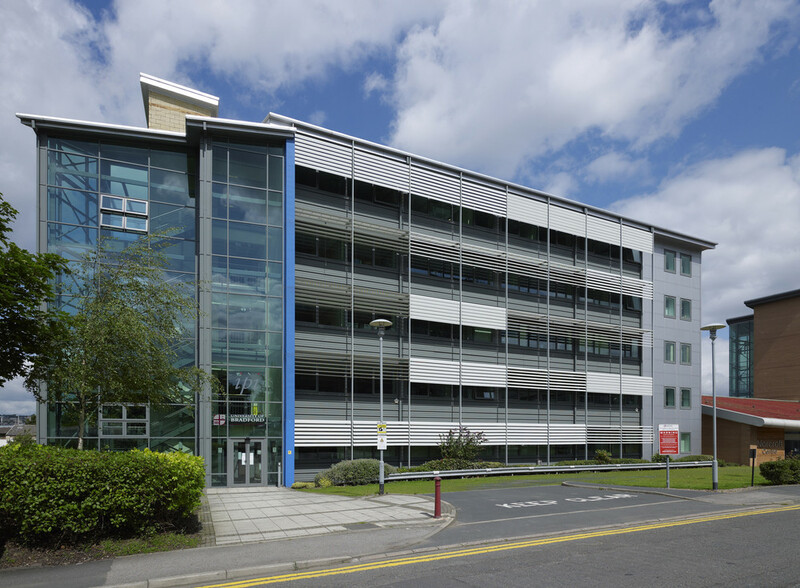 This paved the way for the refurbishment of the existing buildings involving the external recladding and full interior refresh in a live environment. We addressed the issue of the changes on level between the existing buildings and new infill building. We used the changes in level to create an double height glazed entrance and mall on the new build with lifts to access all floors. 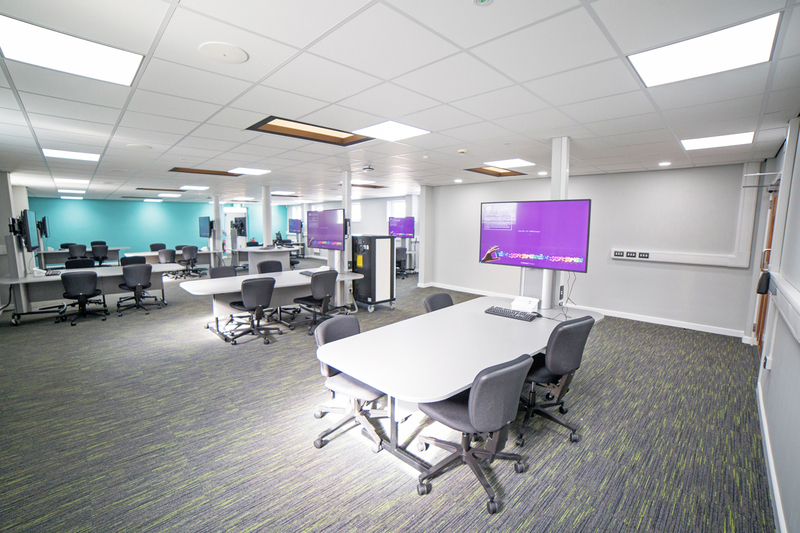 The new building was designed to accommodate a library to centralise the University’s library facilities that were fractured across campus. 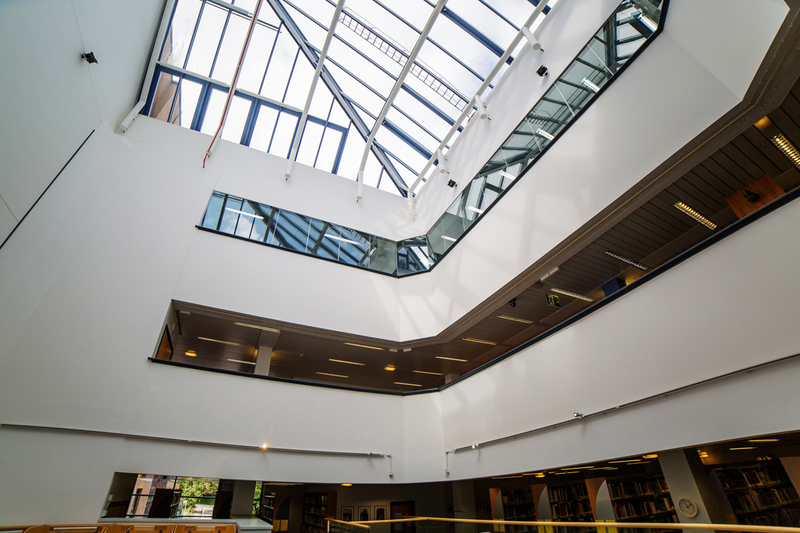 The library is a critical learning resource providing information and learning support facilities 24/7 throughout the year. We held workshops with library staff, academics and students to examine the methods used to store and access library items. We explored the way the students learned individually and in groups and the interfaces with IT. 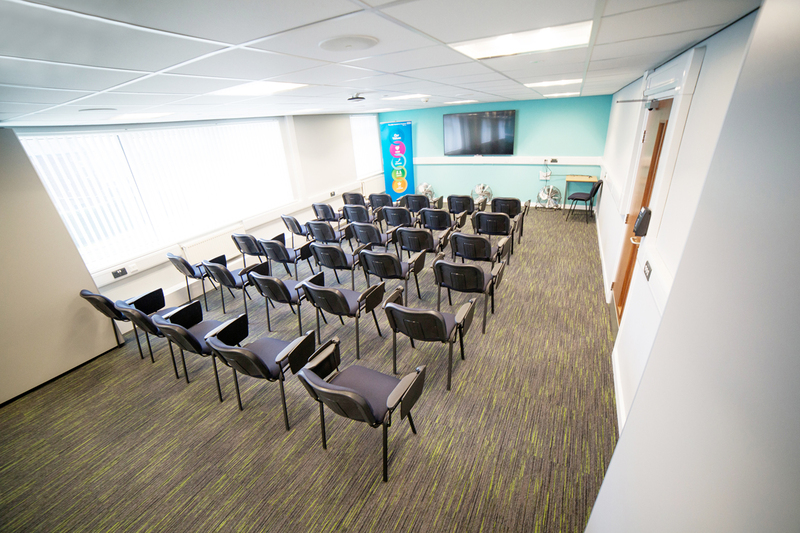 These workshops helped shape our design to meet the aspirations of the users. 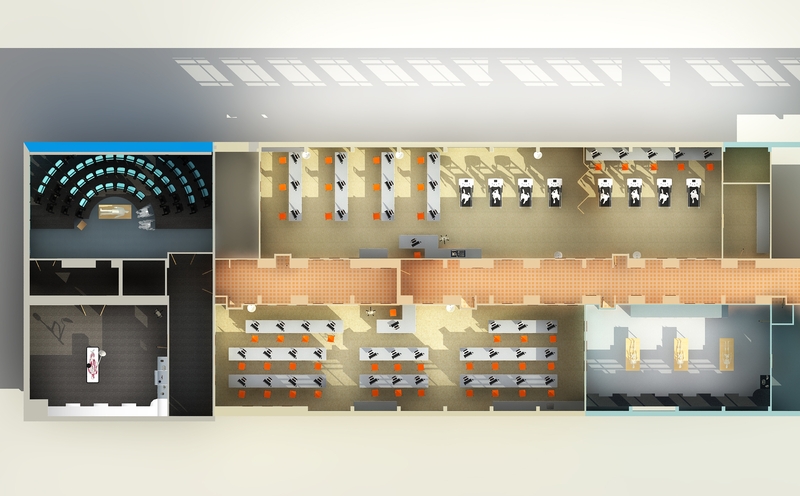 We created a legible series of spaces and routes that facilitated orientation and enabled diverse user groups to easily navigate through the building complex. 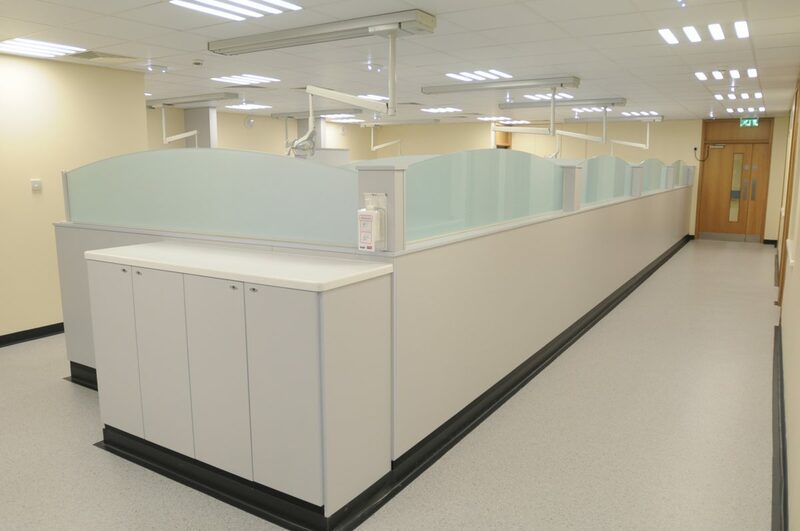 A state-of-the-art learning environment was created across five floors making provision for modern learning methods and advancements in IT. 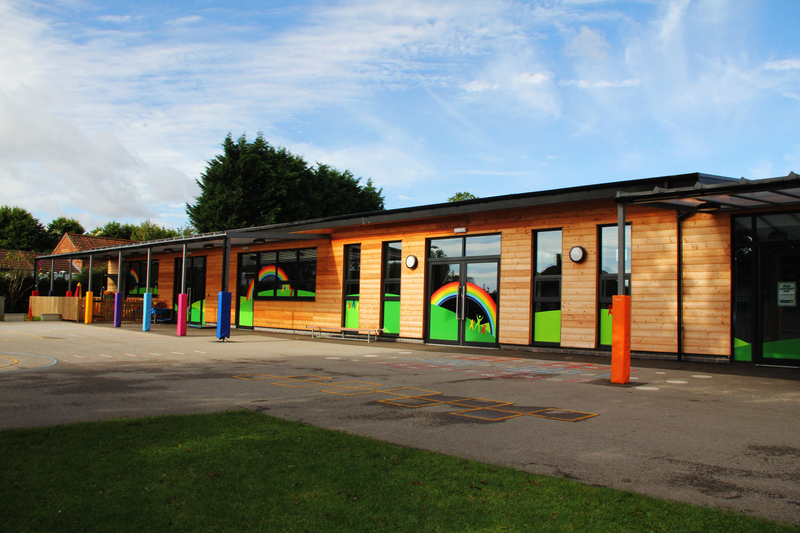 Bowman Riley worked closely with the team at Lidget Green Primary School to create a Children’s Centre with Sure Start facilities and the expansion of classroom accommodation for the primary school. 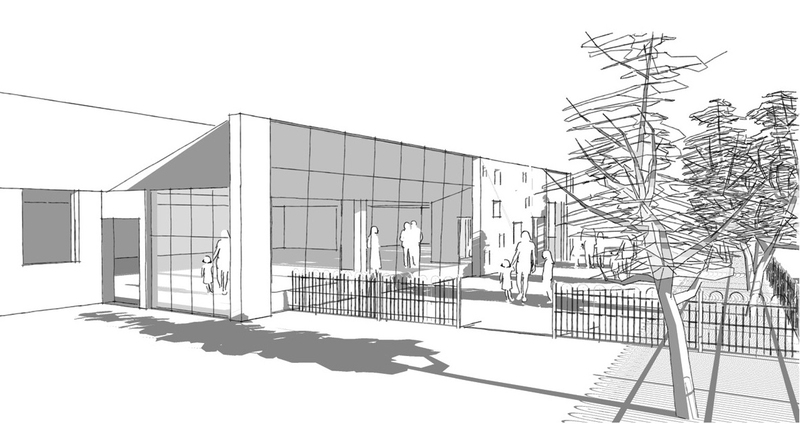 A user friendly main entrance was re-planned to give easy and clear access to all components of the school. 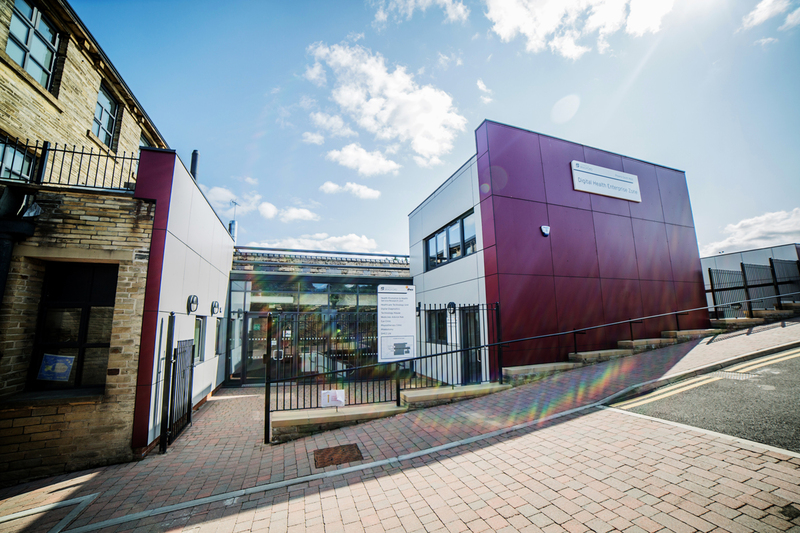 The Sure Start component of the expanded school was placed immediately adjacent to the main entrance, and facilities are immediately on hand in this area to support families with both pre-school and primary children. 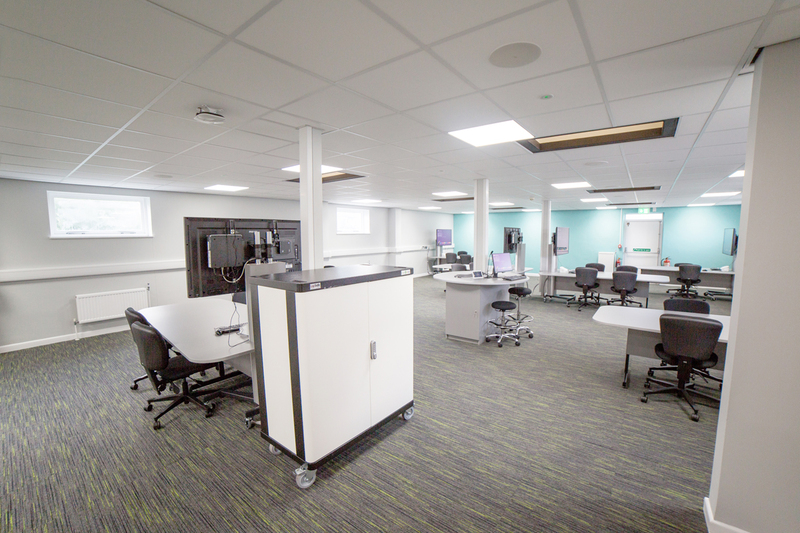 With the re-ordering of the existing primary school, the provision of an IT suite and the new four classroom block, the school’s facilities have been greatly enhanced. 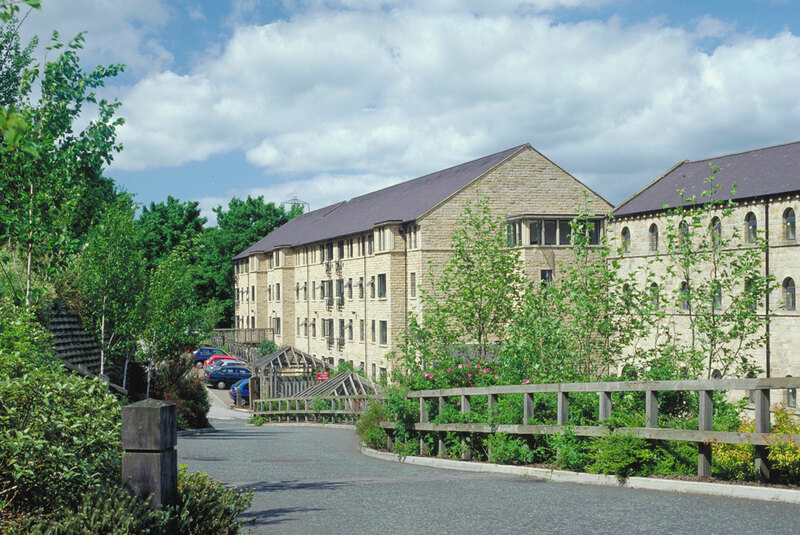 Fulneck school is a small, independent boarding school, situated in Pudsey near Leeds. 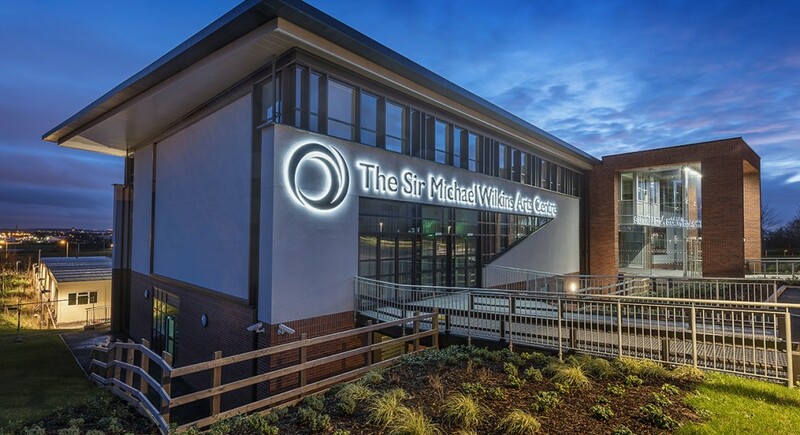 It provides education for pupils between the ages of 3 and 18. 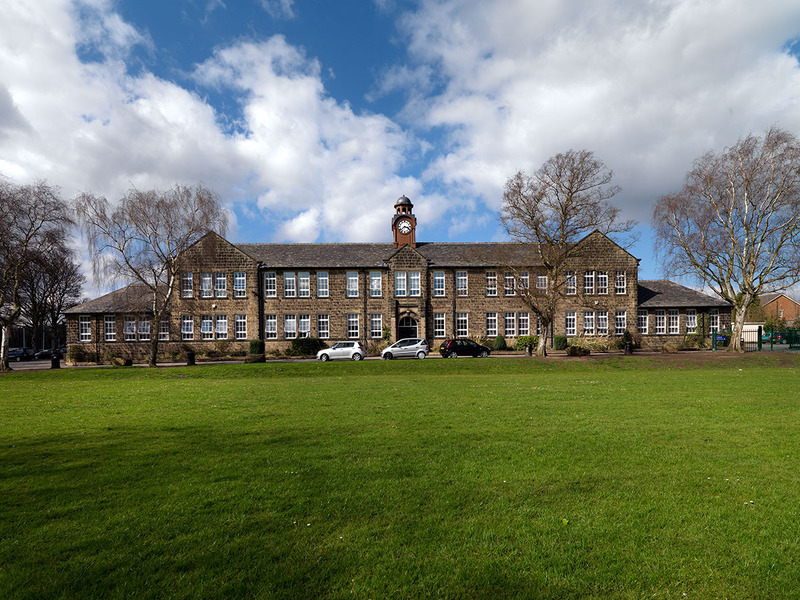 Bowman Riley with Sutcliffe Construction worked closely with Fulneck School to develop the client brief, provide numerous design ideas and review the budget costs for the project, which would be constructed through fundraising events. 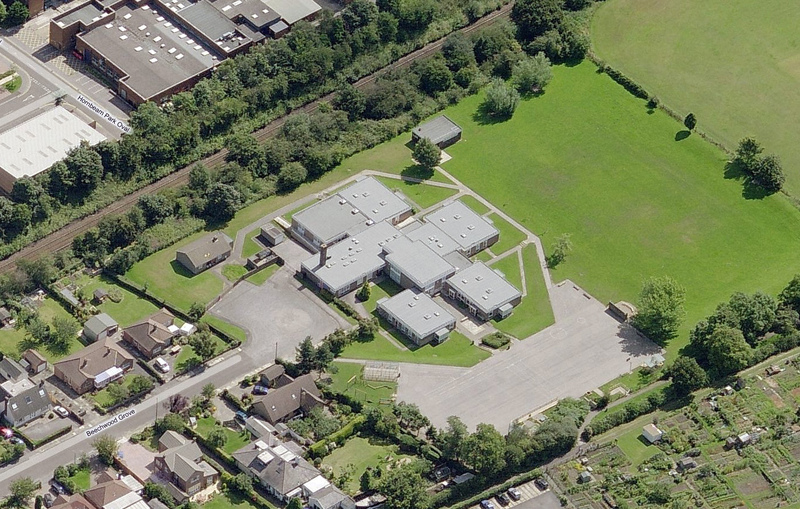 The replacement sports hall would be located within a Conservation Area and adjacent to Green Belt. 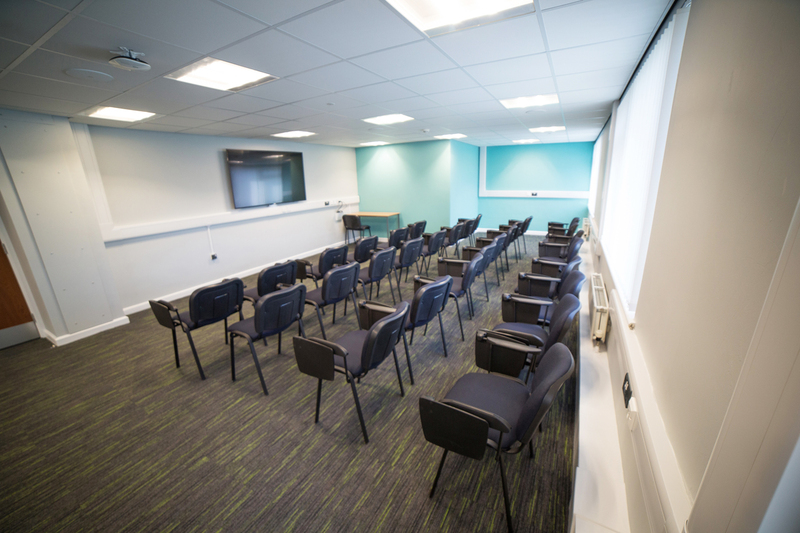 A sensitive approach with the client and Leeds City Council’s planning department was required. 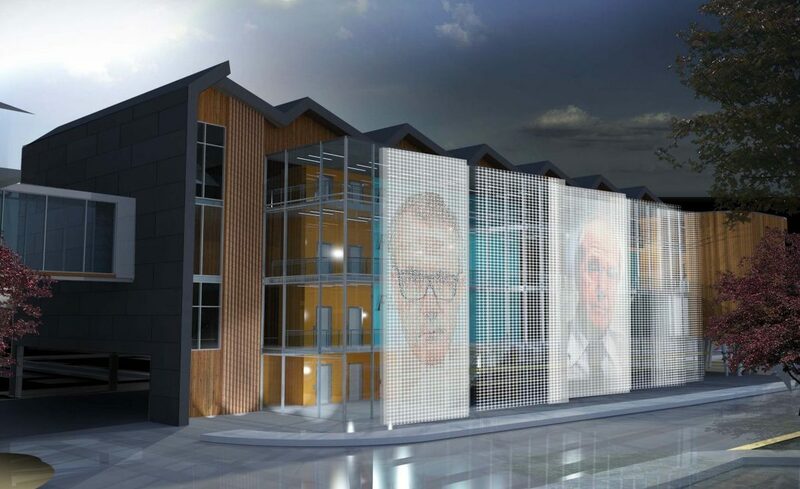 Early 2010 Bowman Riley successfully gained planning permission and accompanying Conservation Area consent for a new 10,750ft2 multi-purpose sport hall. 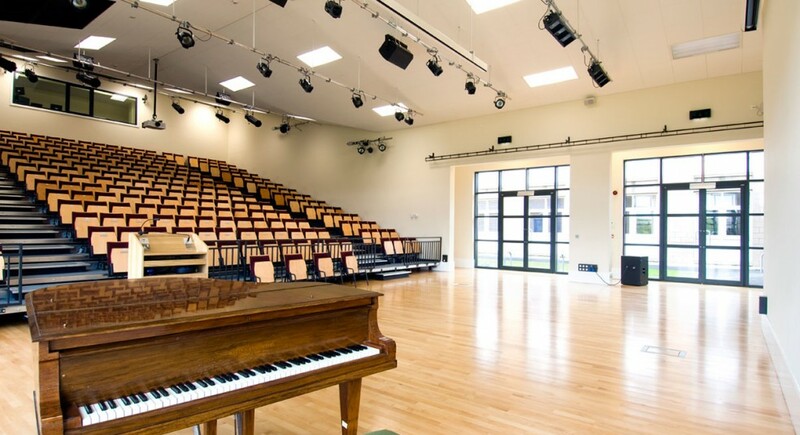 Ripon Grammar School is a selective co-educational grammar school with 800 students, 200 of whom are in sixth form. In addition to its excellent academic results, the school values an all round education and talent in the arts and sport is nurtured. 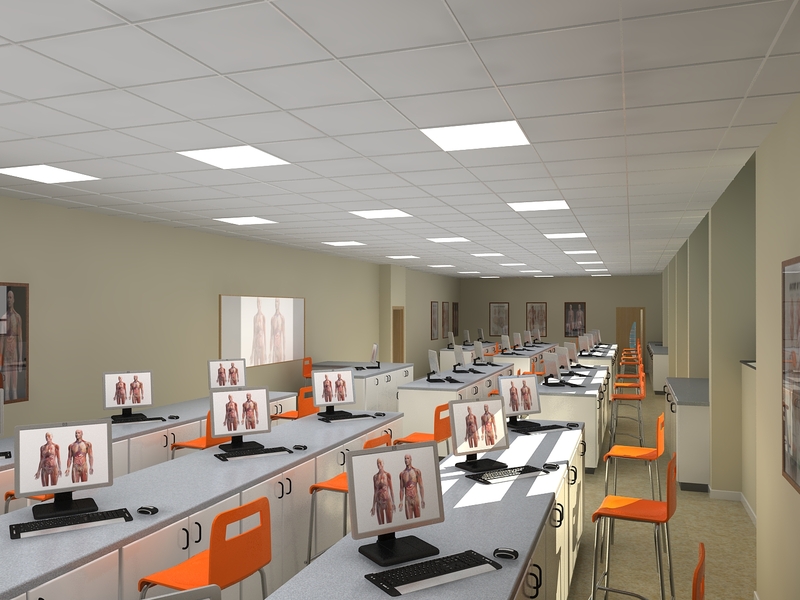 To support the aspirations of the School, Bowman Riley designed a new £1 million sports hall and accompanying Astro turf surface for Ripon Grammar School. 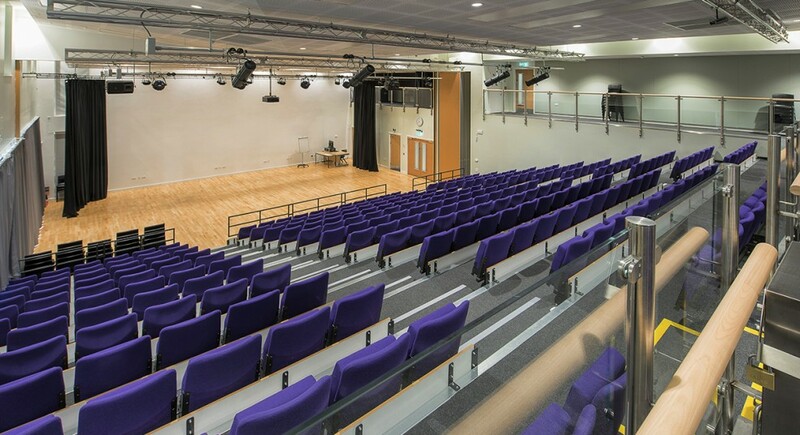 Features of the new hall include a climbing wall and cricket nets. 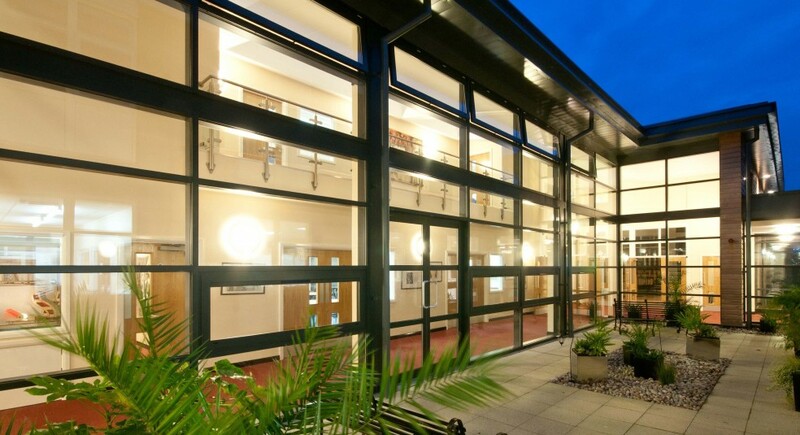 The school uses the hall for a wide range of sports including netball, five-a-side football, hockey, gymnastics basketball, volleyball and tennis. 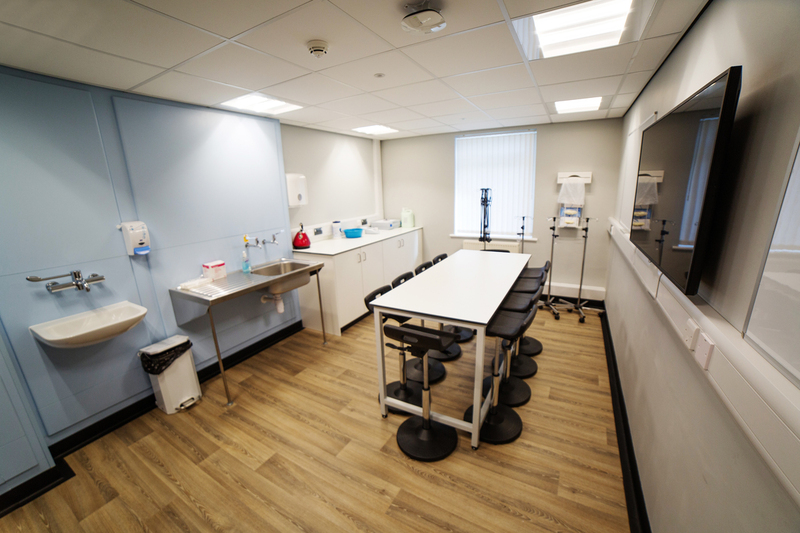 The facilities are also available for local clubs outside school hours.